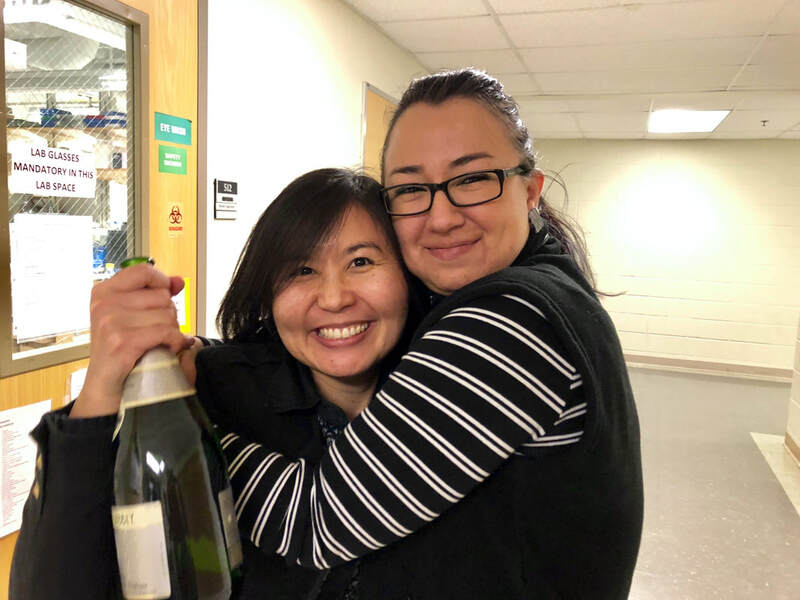 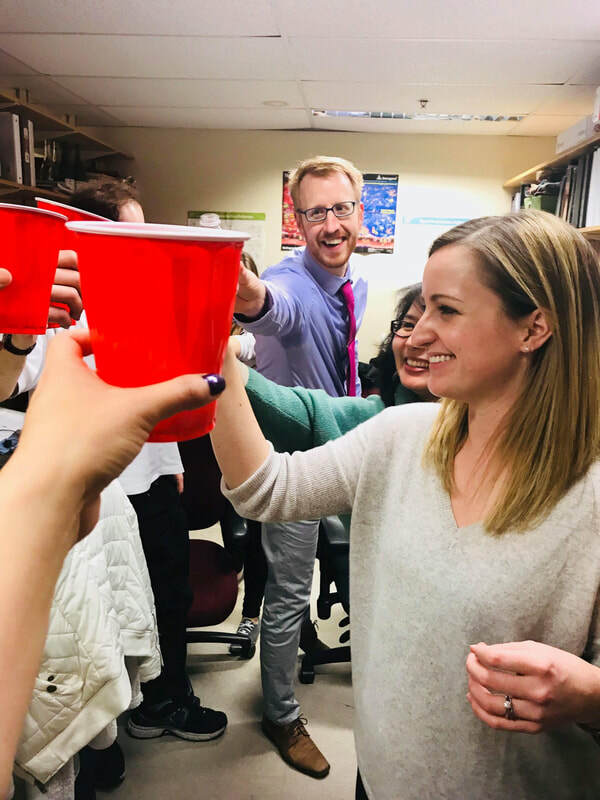 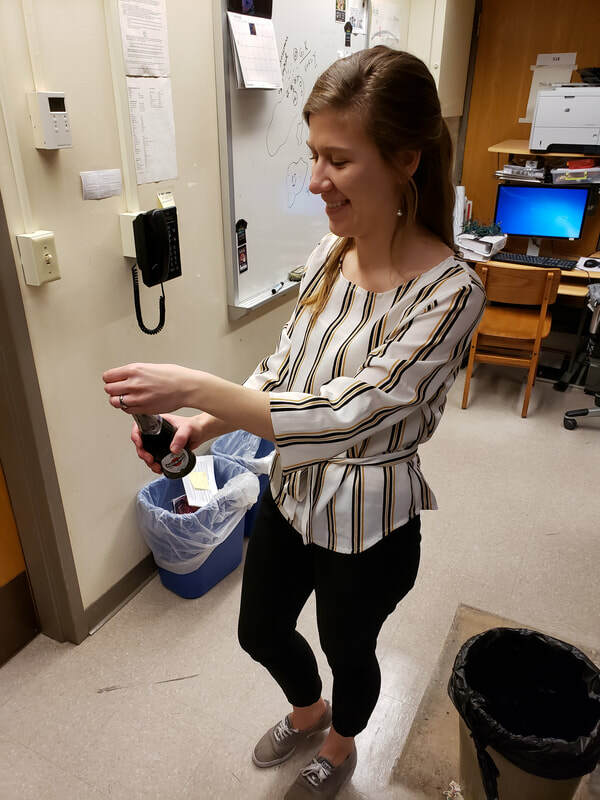 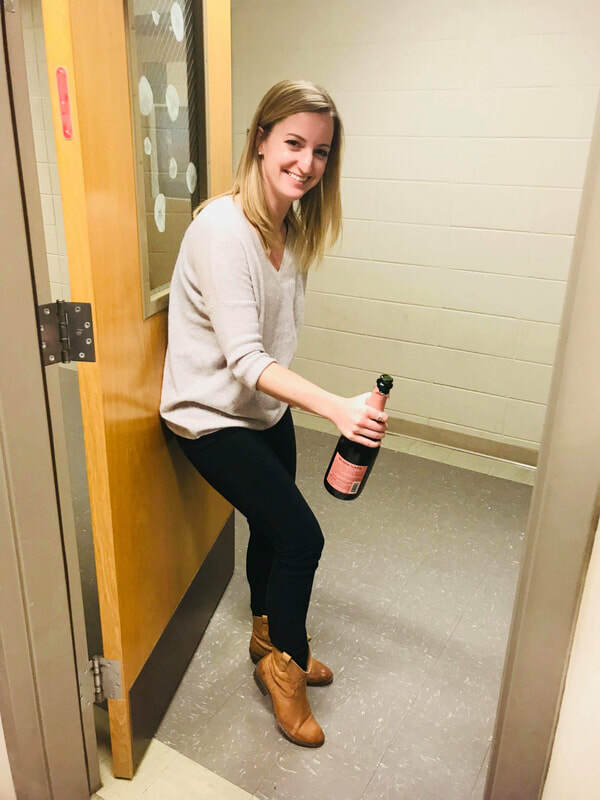 March 27th, 2019 - Anna Gutridge opening her mini bottle of champagne in celebration of passing her defense of her original proposal. 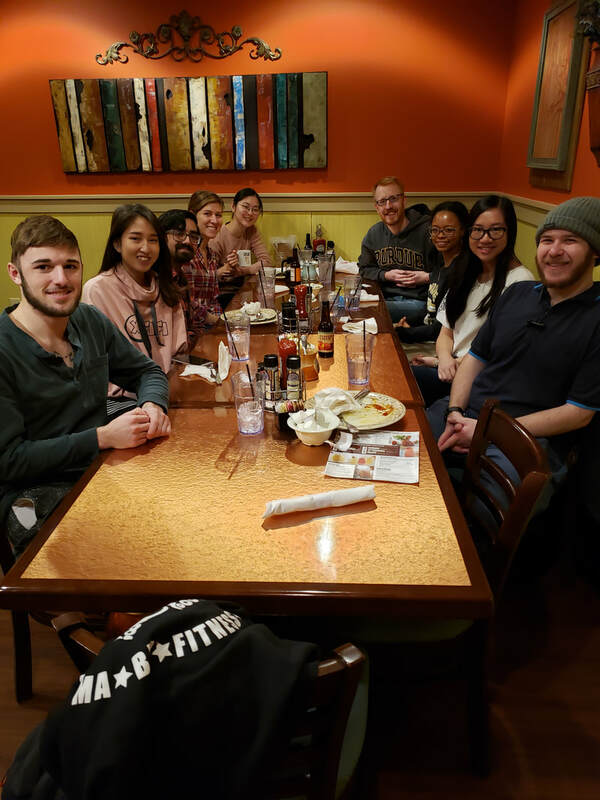 December 12th, 2018 - Secret Santa holiday lunch at Another Broken Egg. 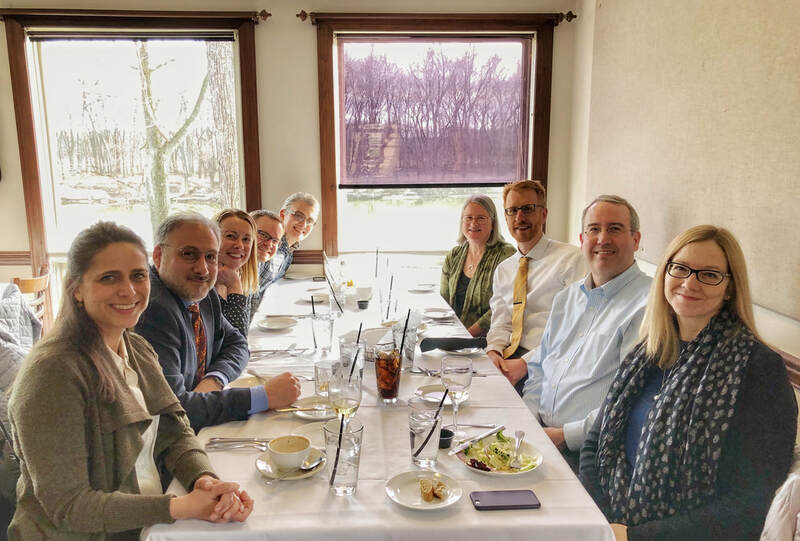 October 8th, 2018 - Departmental retreat at Turkey Run Indiana. 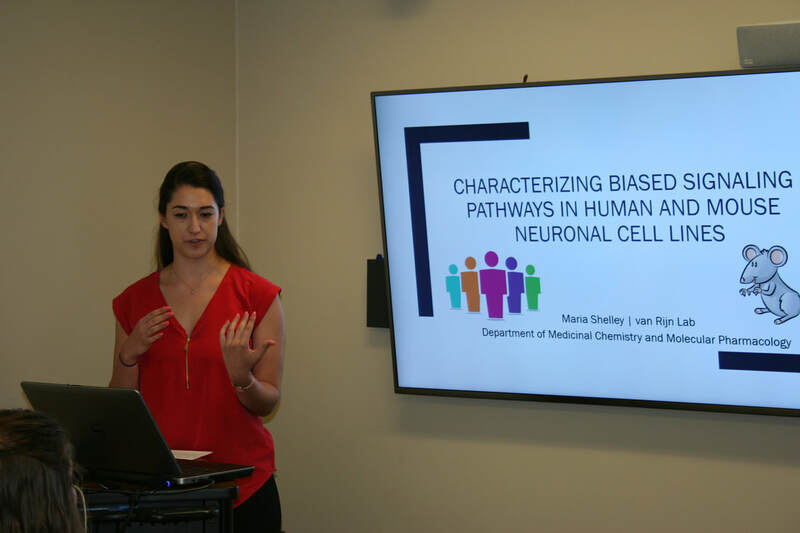 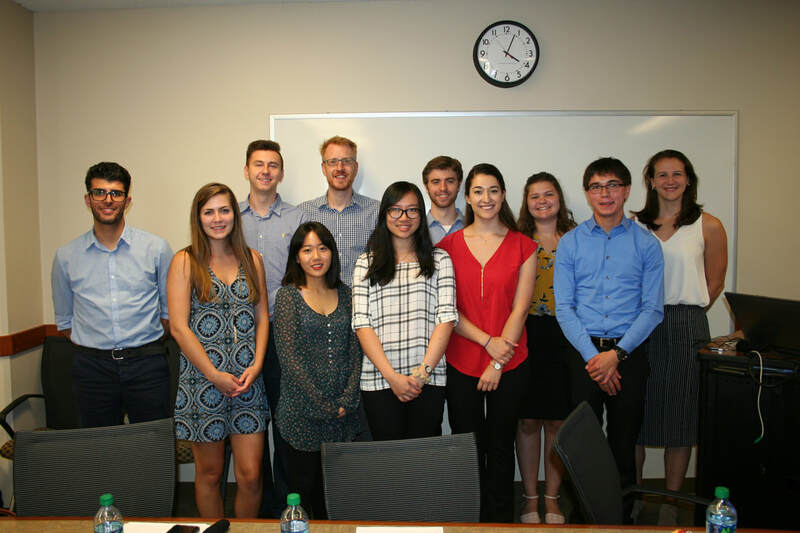 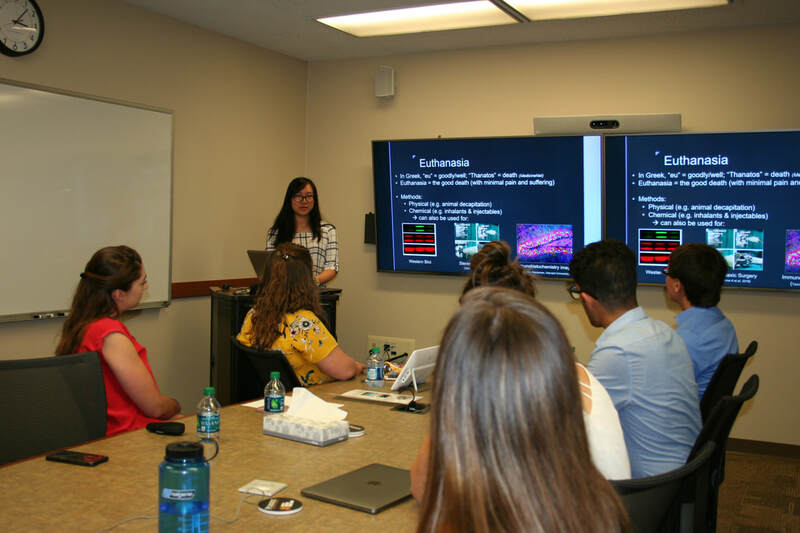 July 25th, 2018 - 3rd year BSPS undergraduate Grace Mulia and 1st year Pharmacy student Maria Shelley presenting their summer research project at the Summer Undergraduate Research Fellowship symposium organized by Dr. Van Rijn. 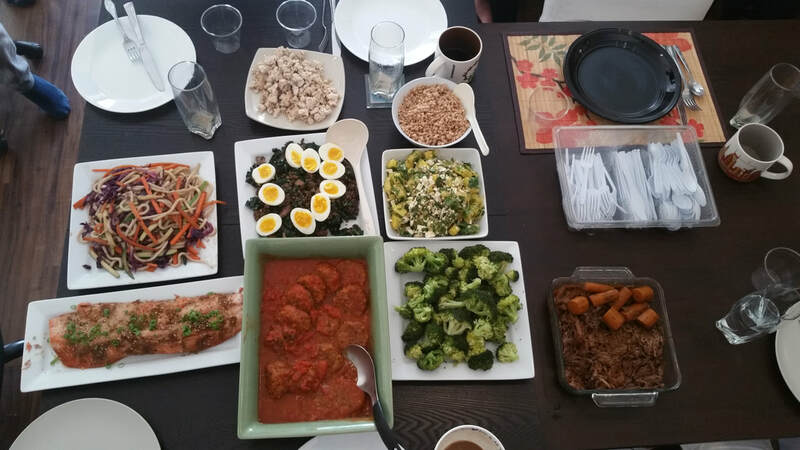 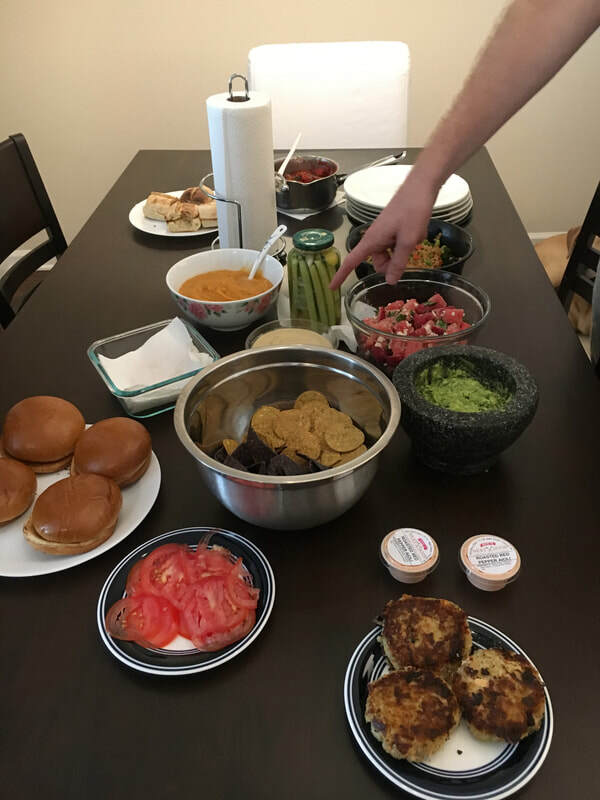 July 21st 2018 - Summer appreciation party with home made watermelon/strawberry/feta/basil salad, butternutsquash/jalapeno/tomato soup, salmon burgers, pulled pork, vegetarian meatball subs and farro/asparagus/broccoli salad. 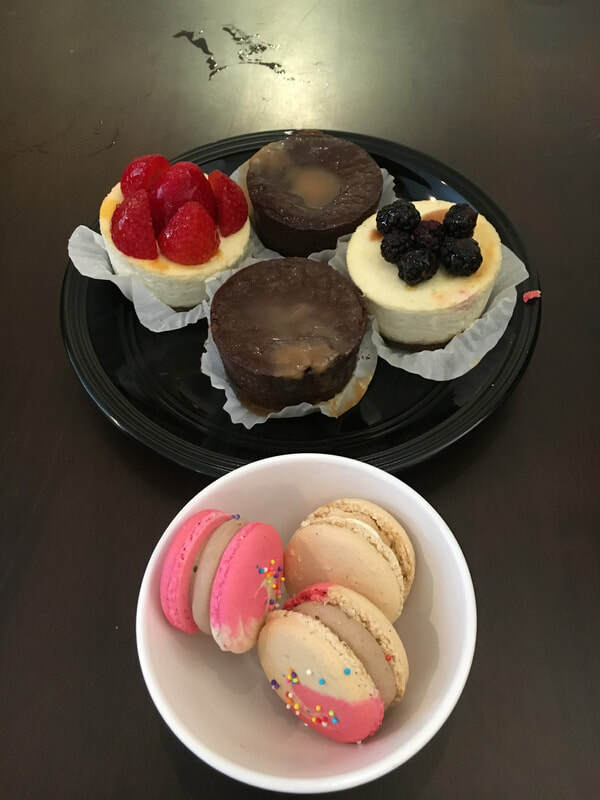 Also dessert treats from the Sweet Revolution bake shop. 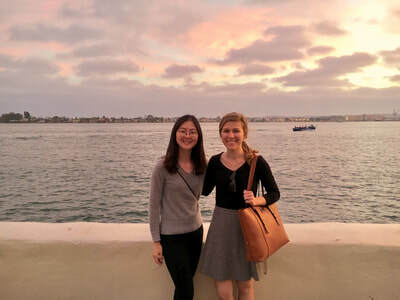 June 12-16th 2018 - Anna Gutridge and Mee Jung Ko at the 2018 International Narcotics research Conference in San Diego. 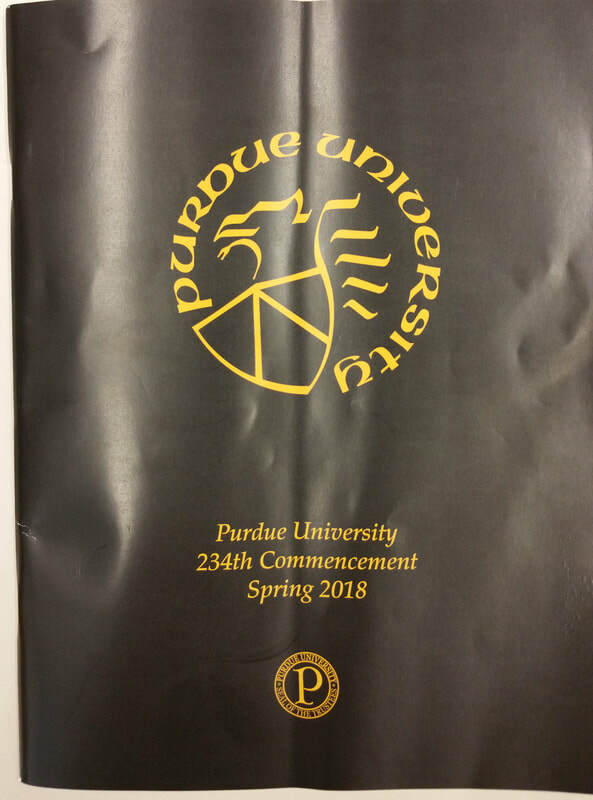 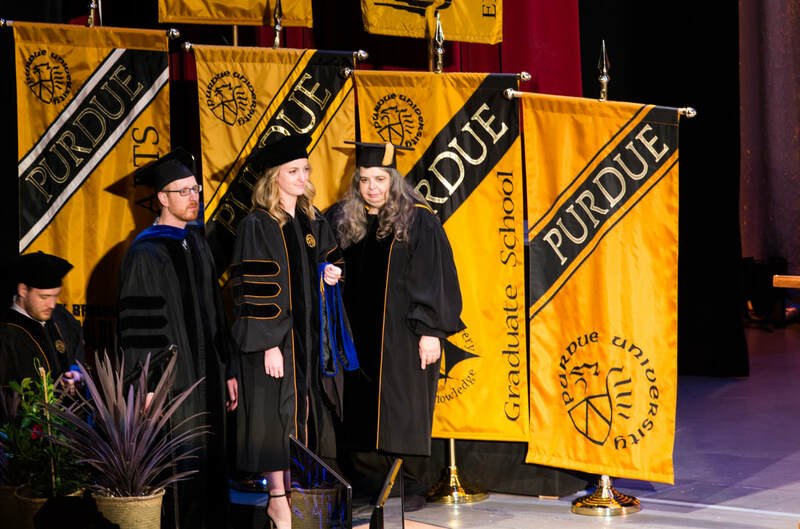 May 11th, 2018, Commencement ceremony and hooding of Dr. Meridith Robins. 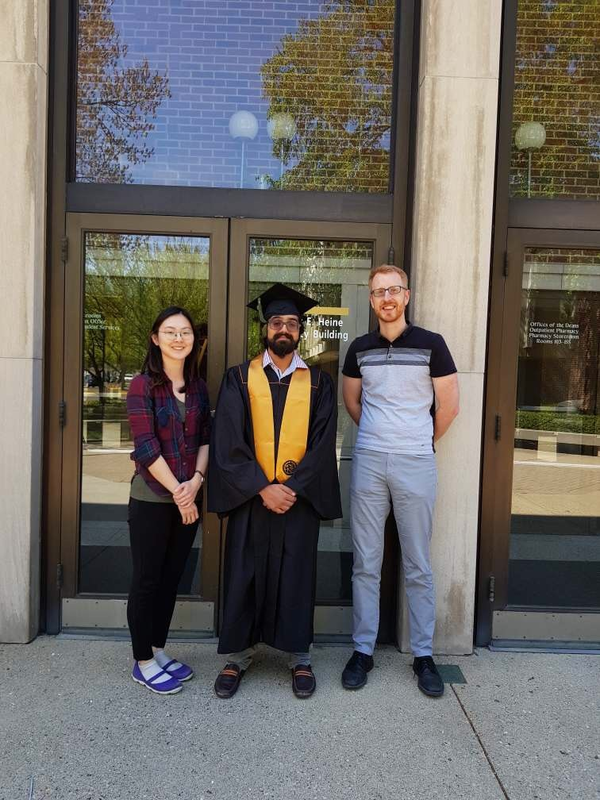 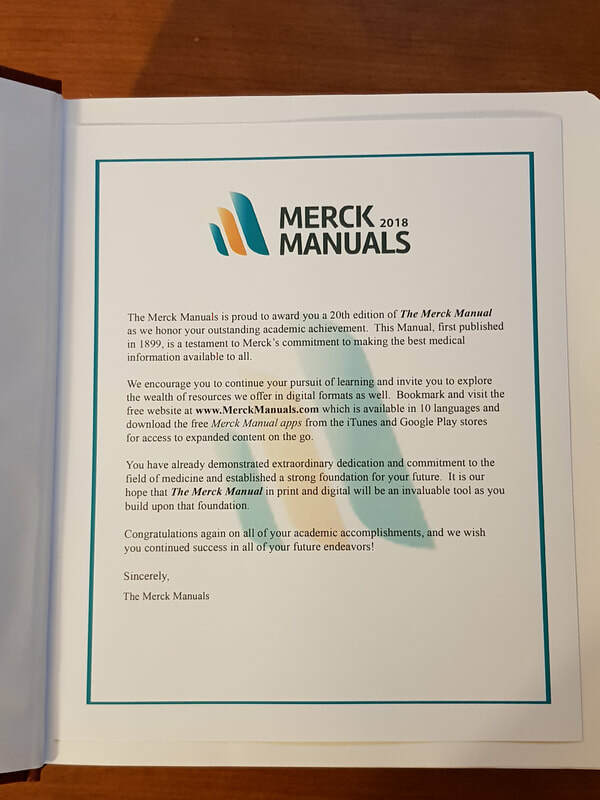 May 7th, 2018, Celebrating Arbaaz Mukadam graduating with a Bachelor in Pharmaceutical Sciences. 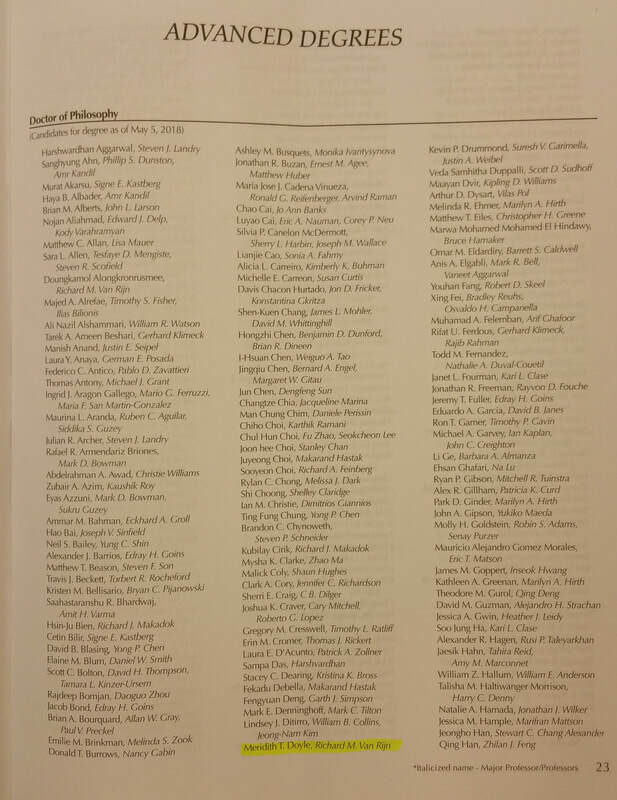 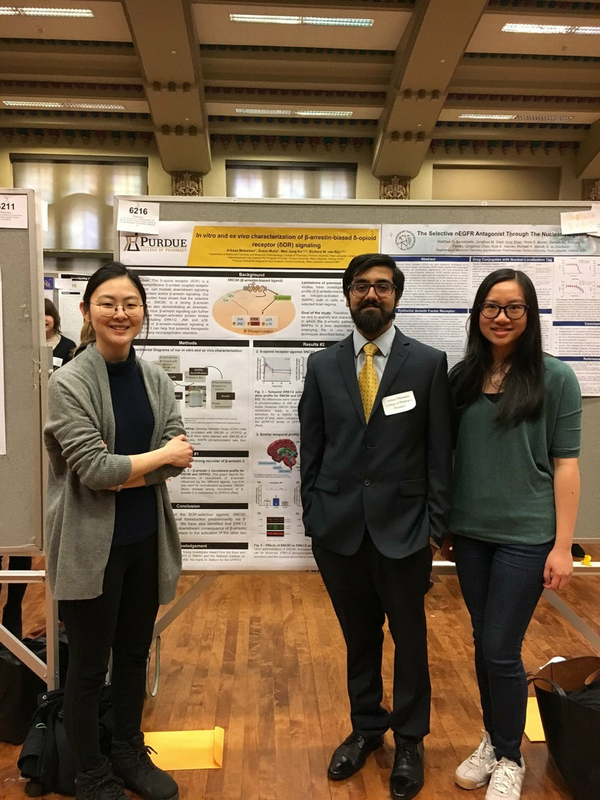 Congratulations Arbaaz! 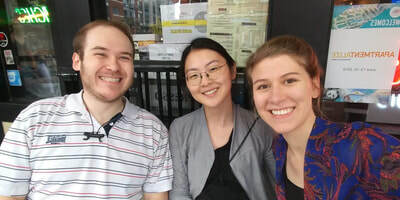 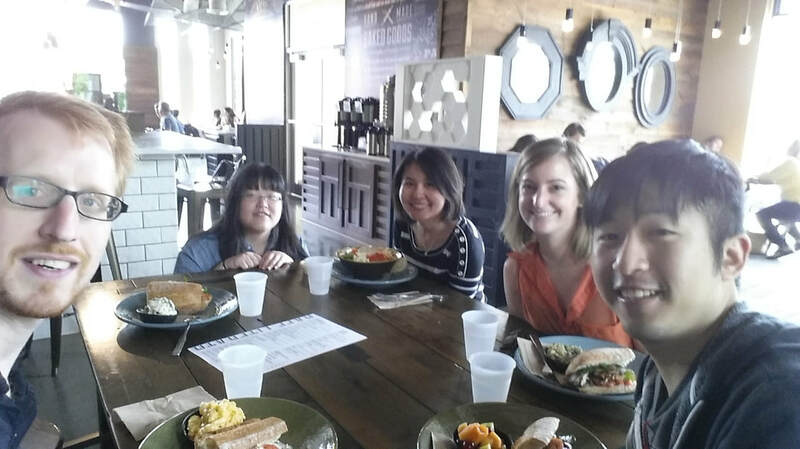 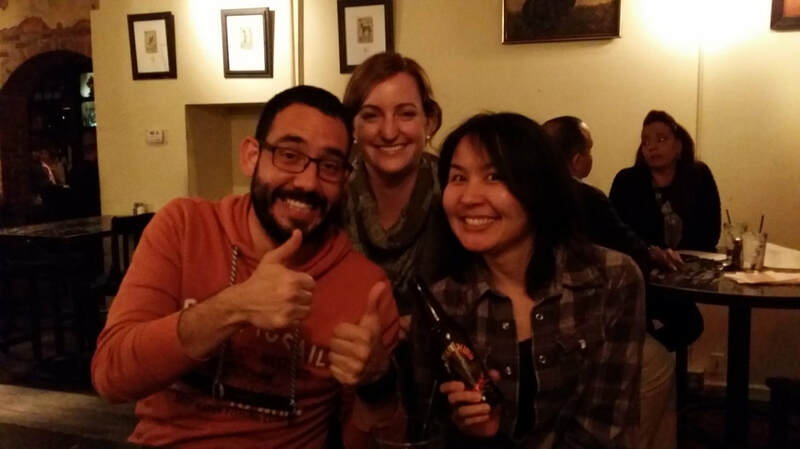 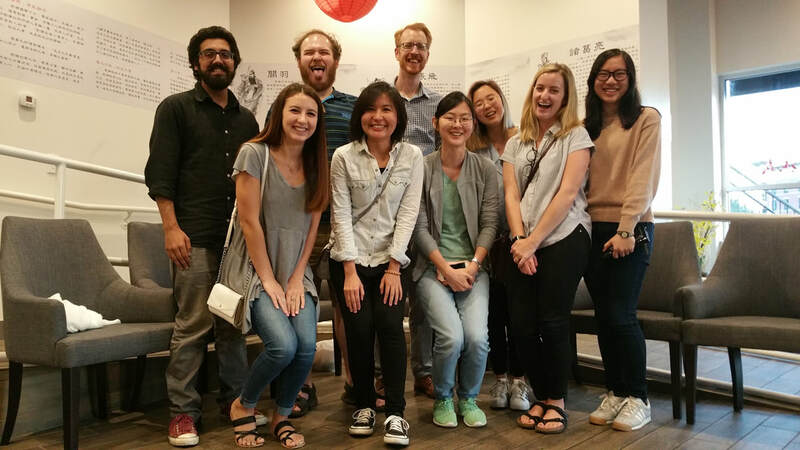 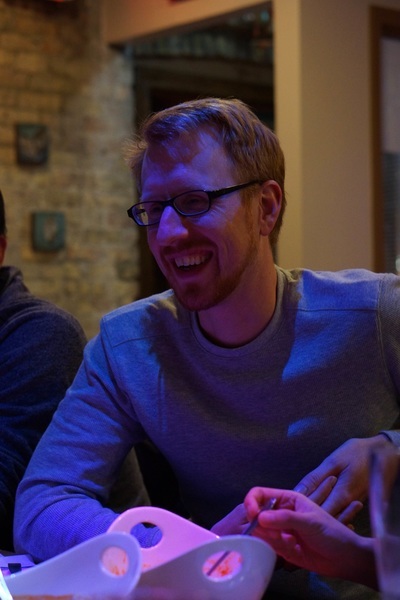 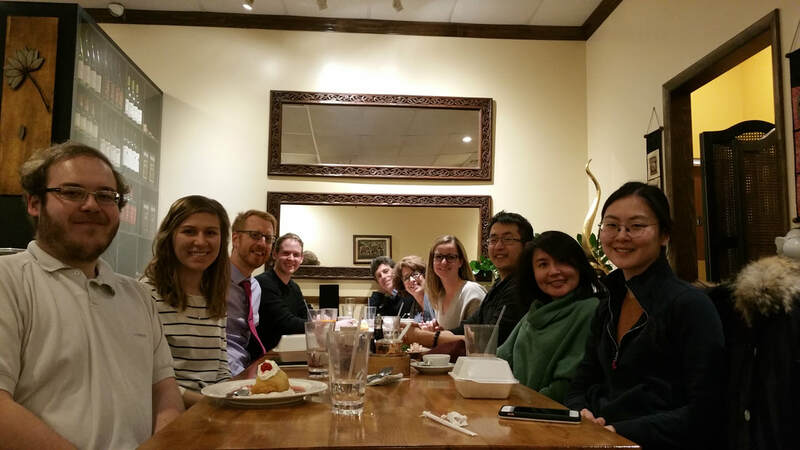 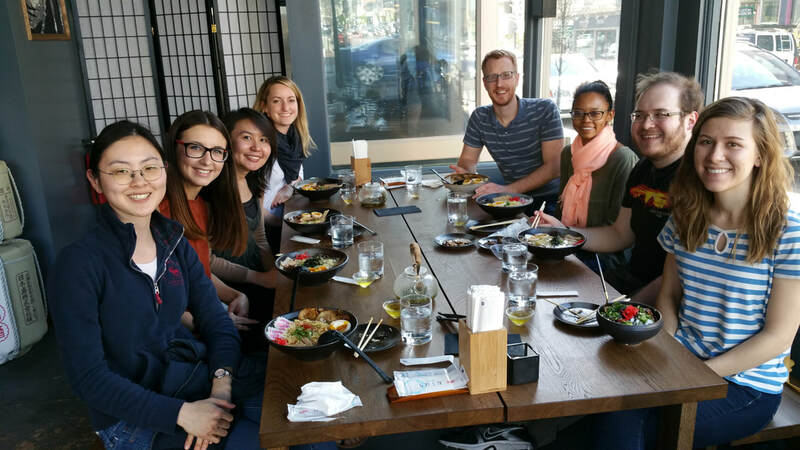 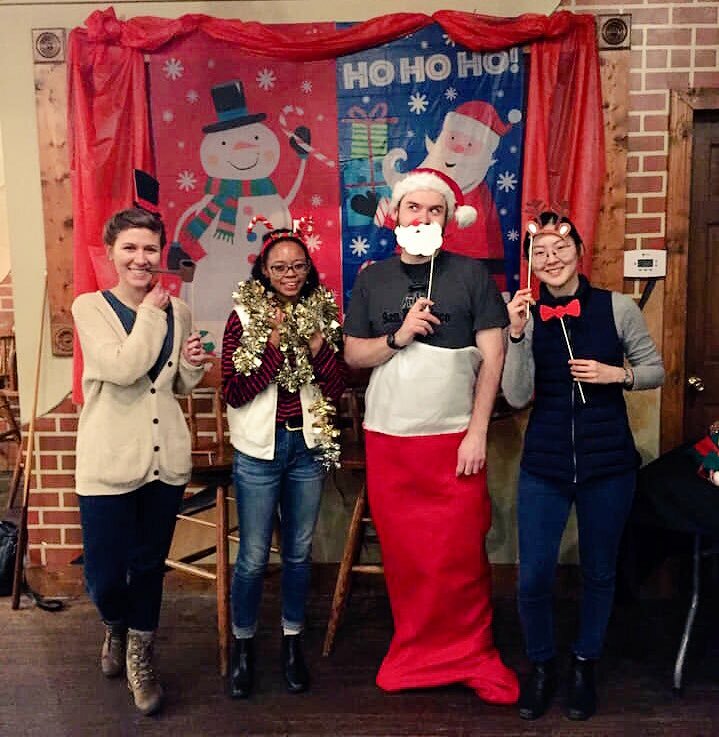 April 30th, 2018 - Changing of the guard while eating ramen at Yatagarsu: Saying goodbye to Van Rijn lab pioneers Nook and Meridith, but welcoming Anna and Arryn to the lab! 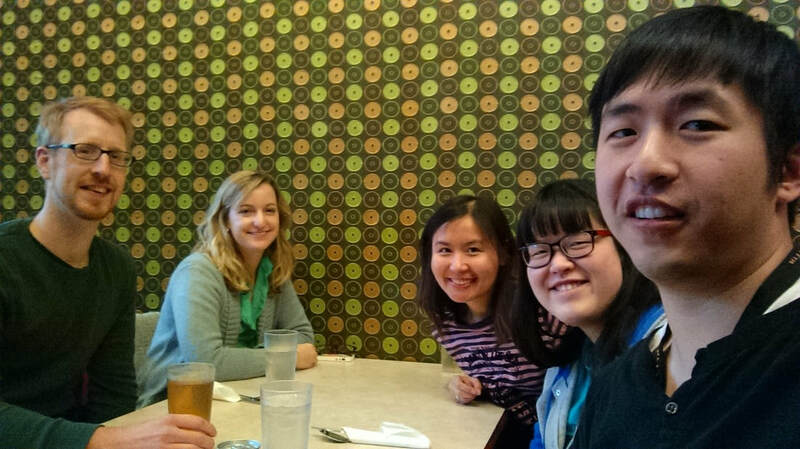 And prematurely celebrating Kendall's birthday....and even more prematurely Mee Jung's Birthday. 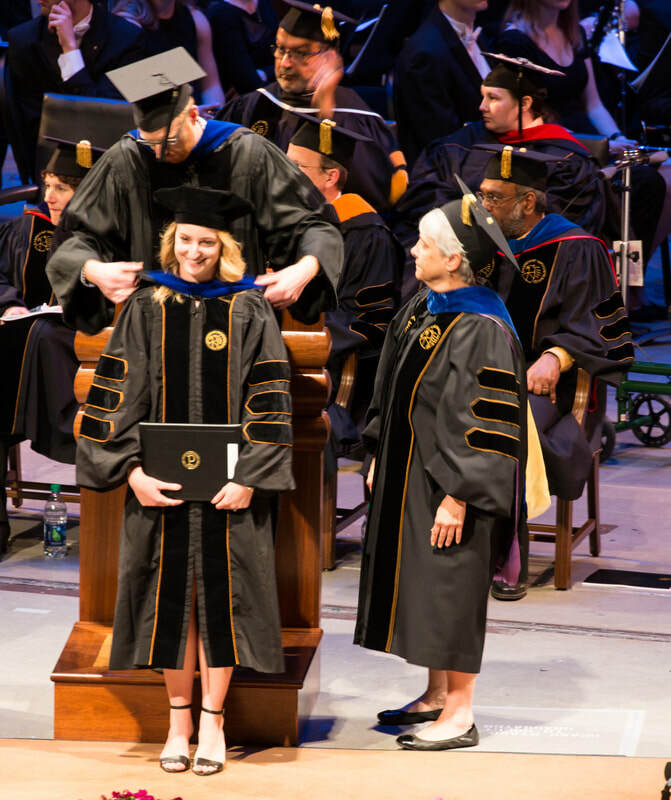 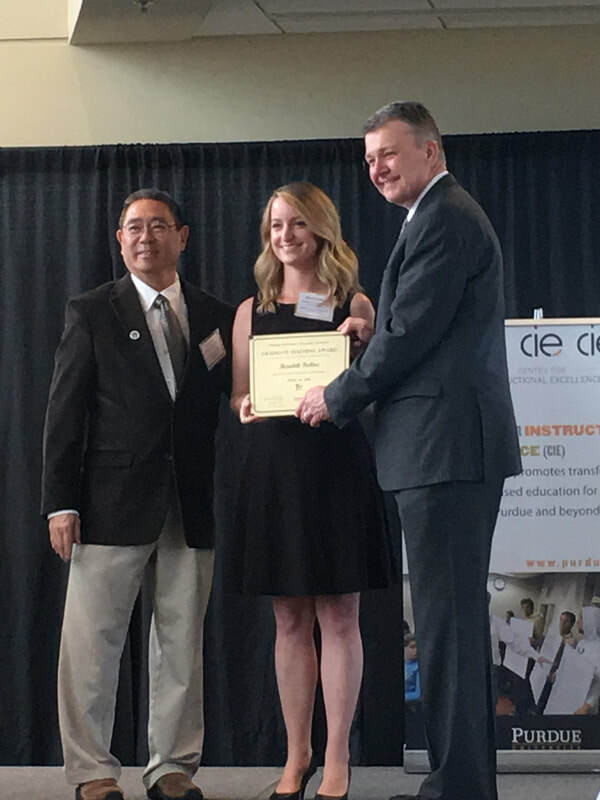 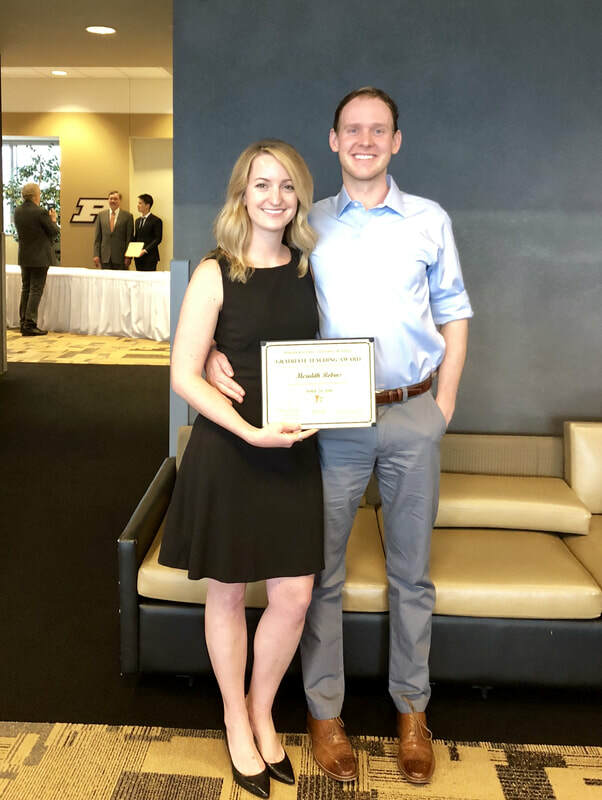 April 24th, 2018 - Meridith Robins receiving a Graduate teaching award from provost Jay Akridge. 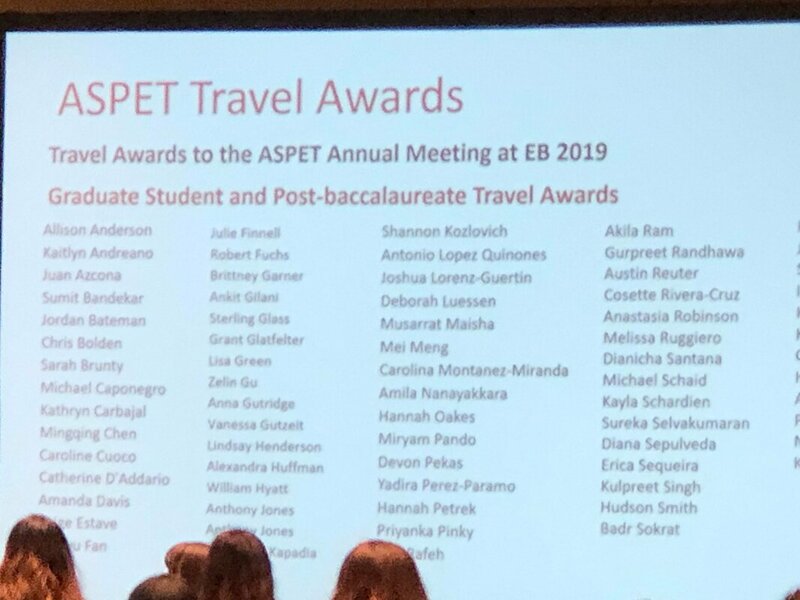 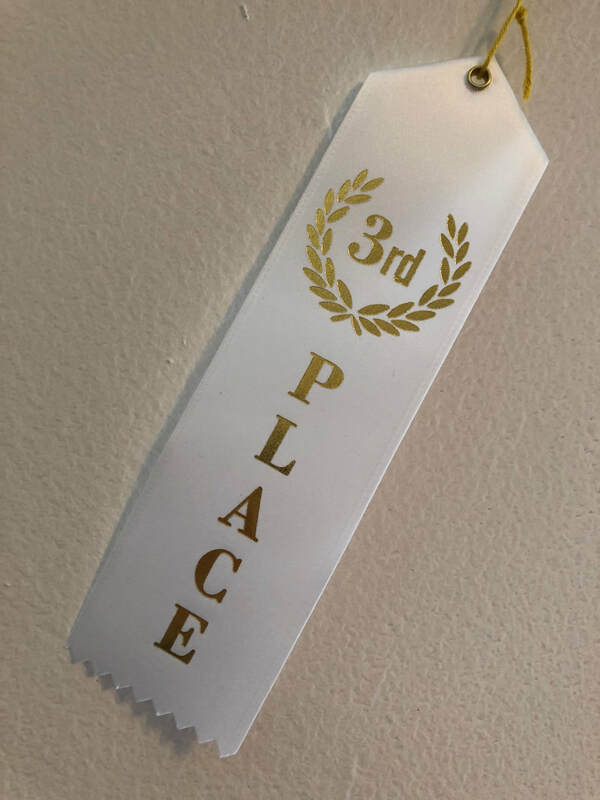 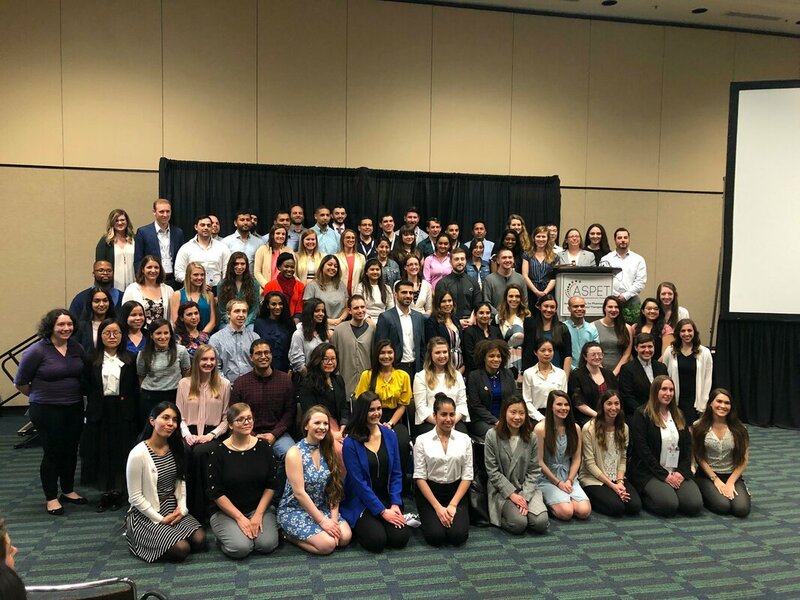 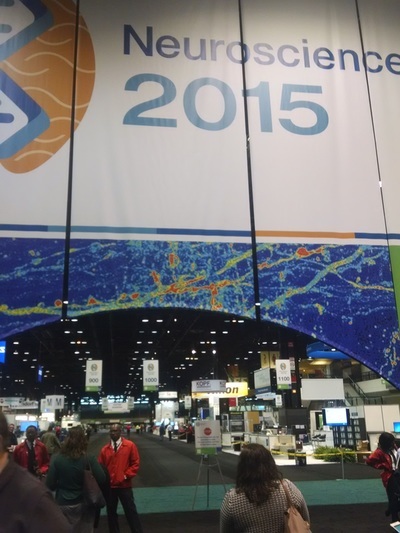 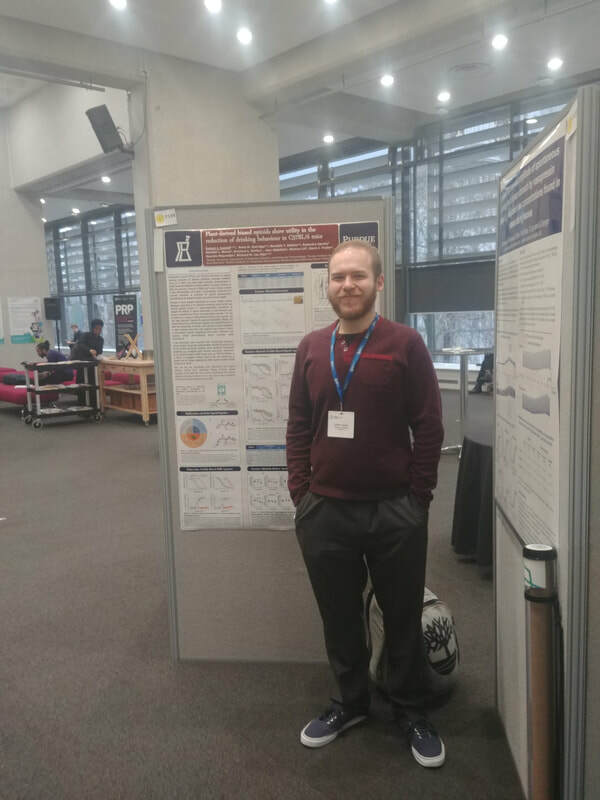 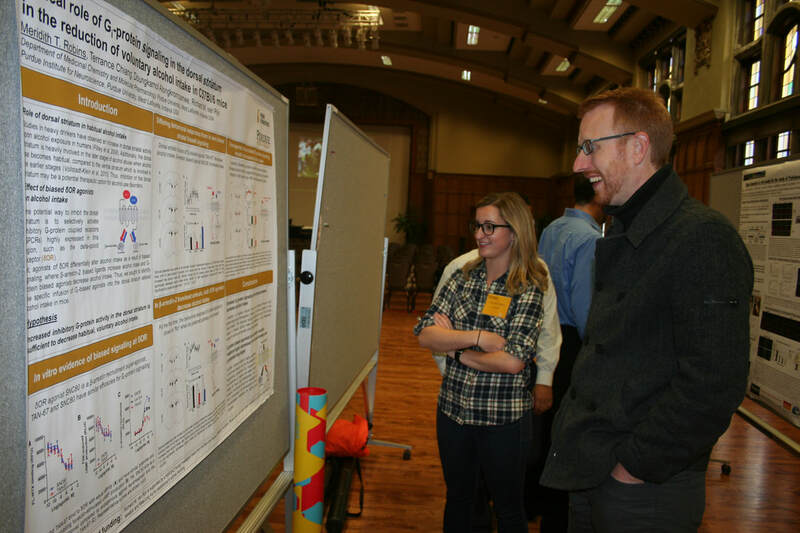 Oral and poster presentations by Kendall Mores (3rd best talk) and Arbaaz Mukadam. 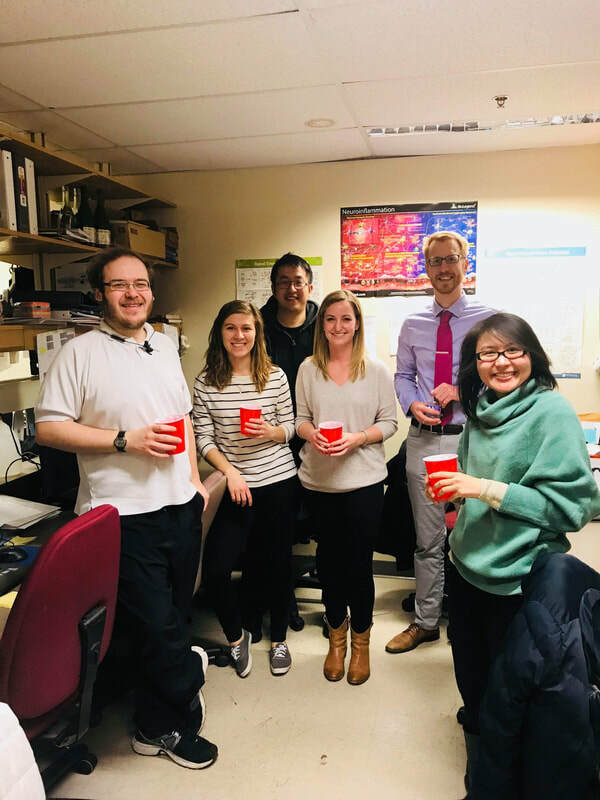 March 5th, 2018 - Celebrating Dr. Robins's PhD defense with champagne and Thai food. 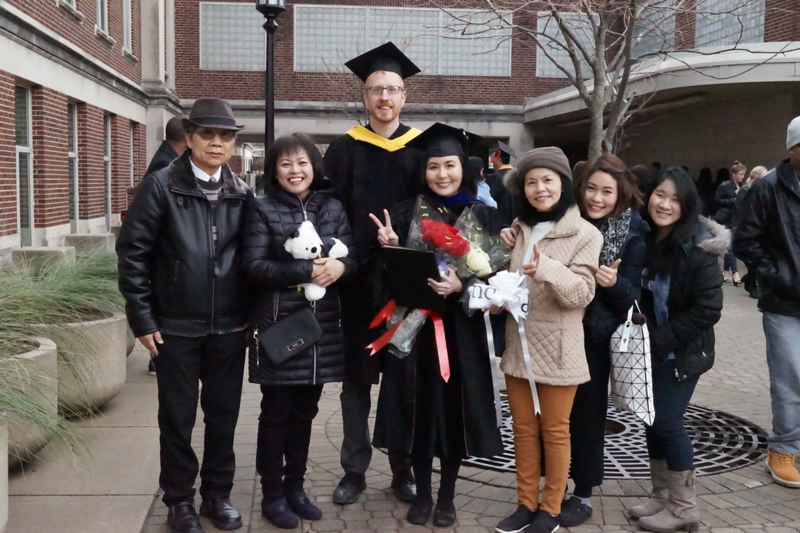 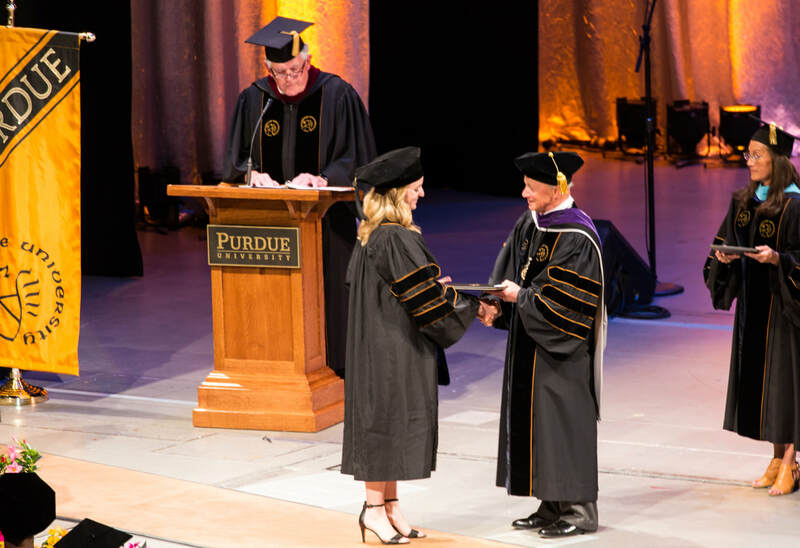 December 17th, 2017 - Graduation of Dr. Nook. 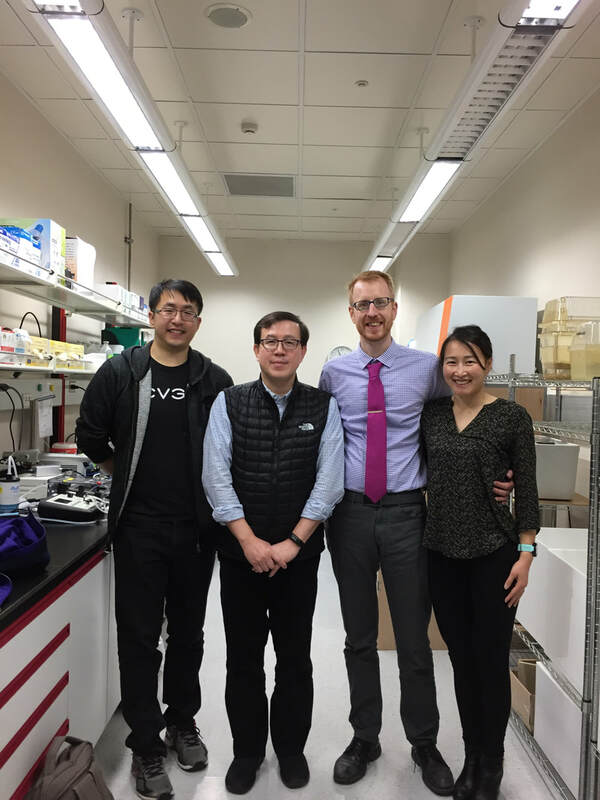 December 14th, 2017 - Visit Dr. Wen-Hai Chou in the Center for Neuropsychiatric Research at the National Health and Research Institute in Taiwan. 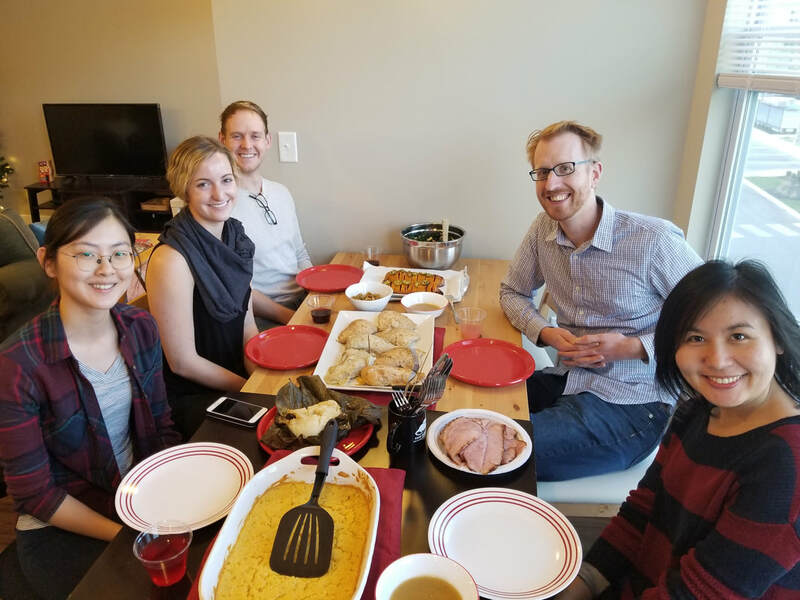 2017 Thankgiving dinner party hosted by Mee Jung Ko. 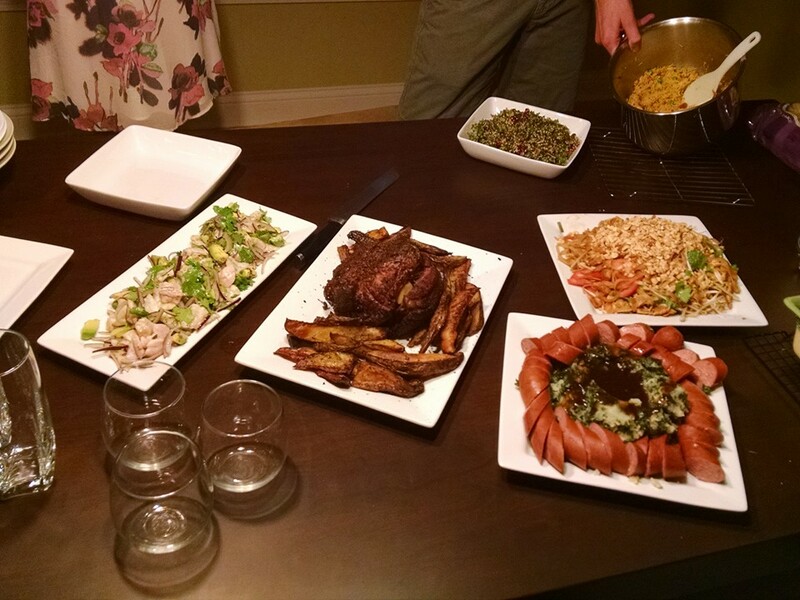 Thanks for cooking Mee Jung! 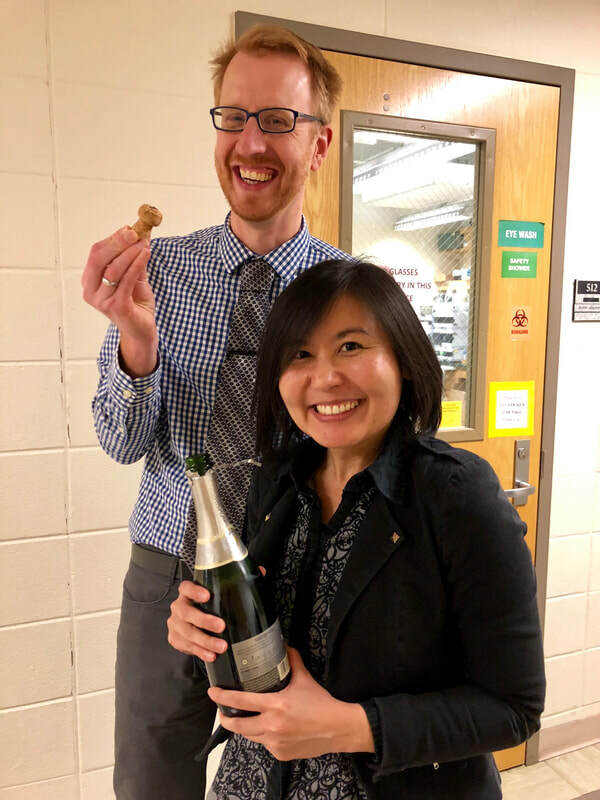 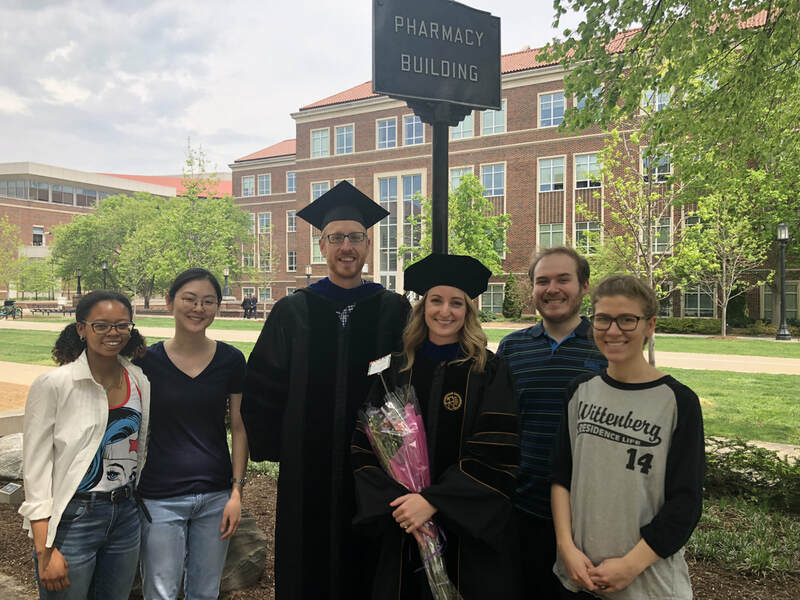 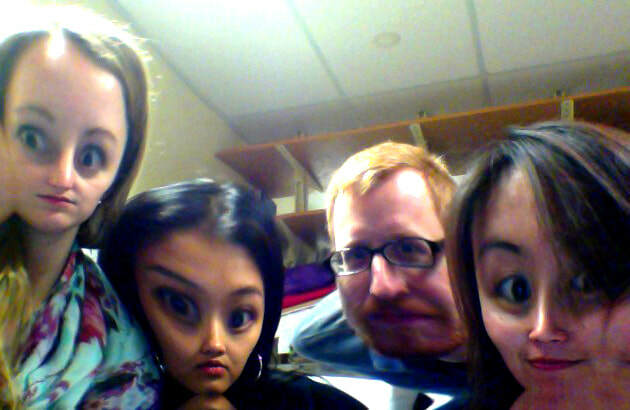 Celebrating Dr. Nook's thesis defense!! 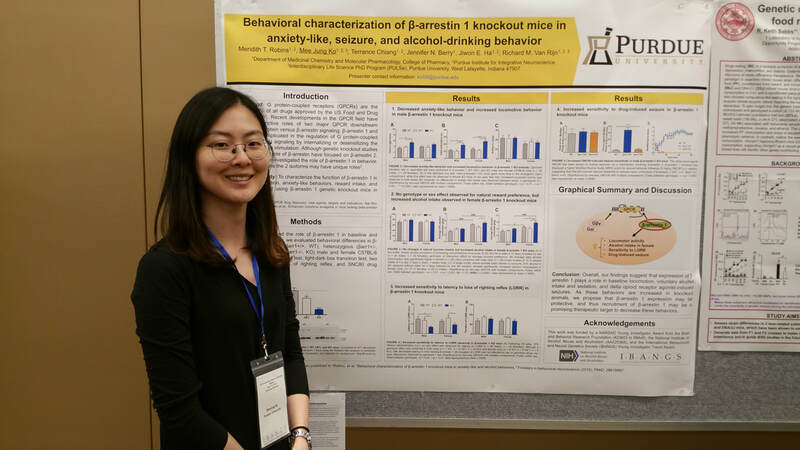 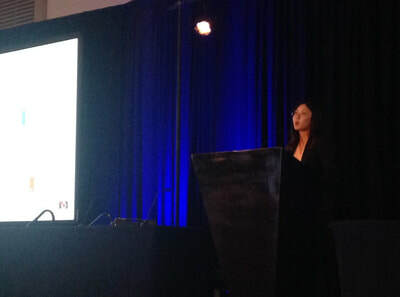 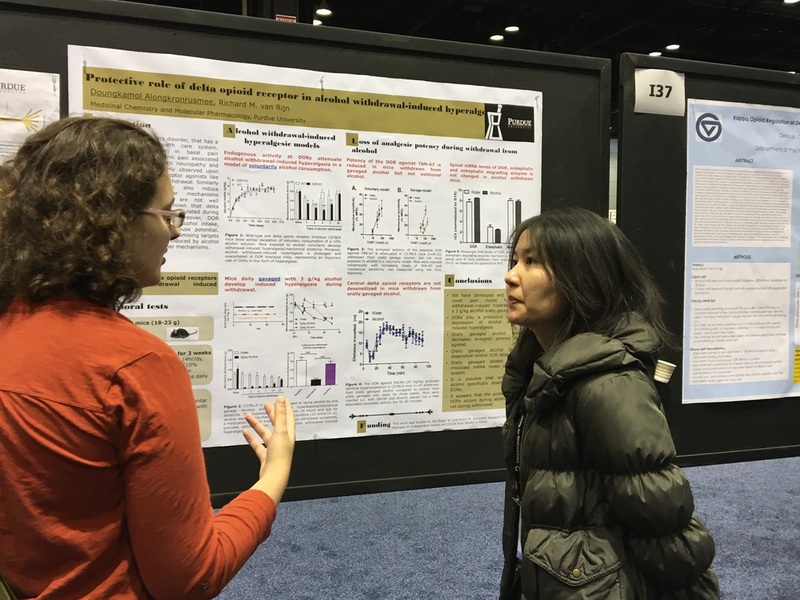 Mee Jung Ko and Meridith Robins presenting their research at the Society for Neuroscience in November 2017 in Washington DC. 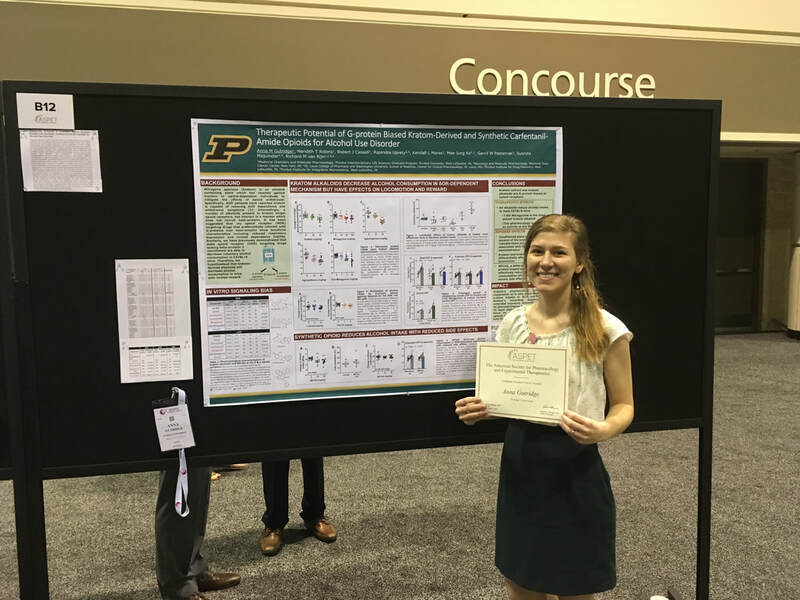 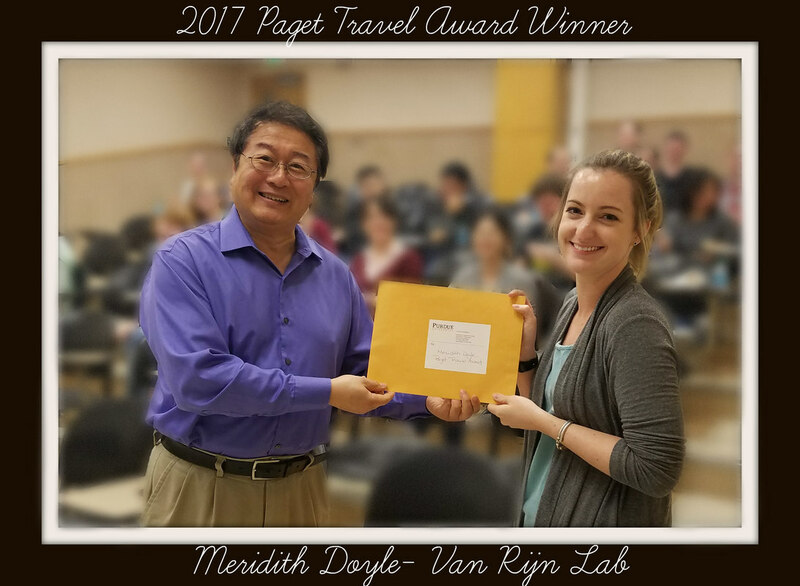 Meridith Robins receiving a Kienly Award for Excellence in Teaching and presenting her Enoch Gordis prize winning poster at the 2017 Jenkins-Knevel Graduate student research symposium. 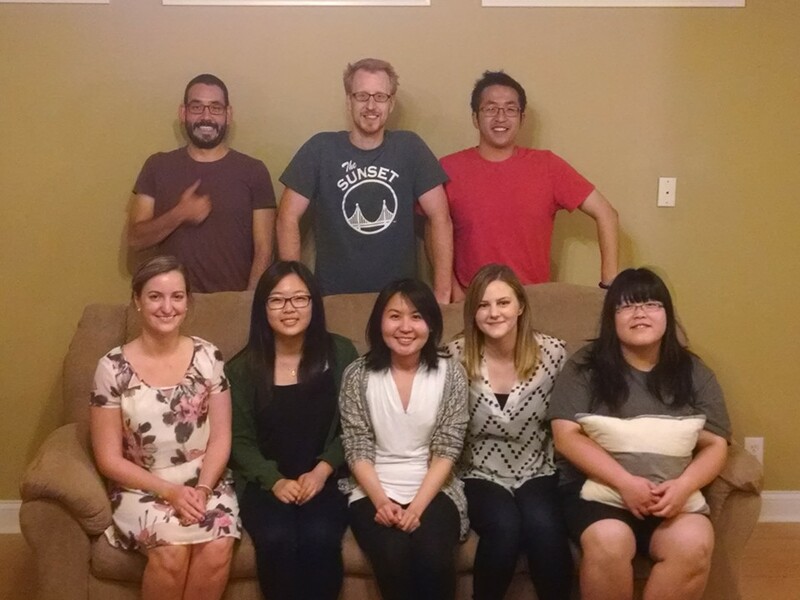 Van Rijn lab photo - October 13th, 2017. 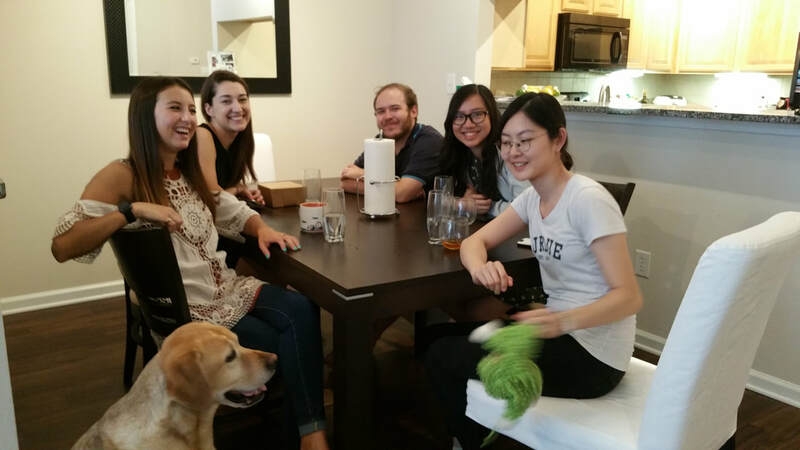 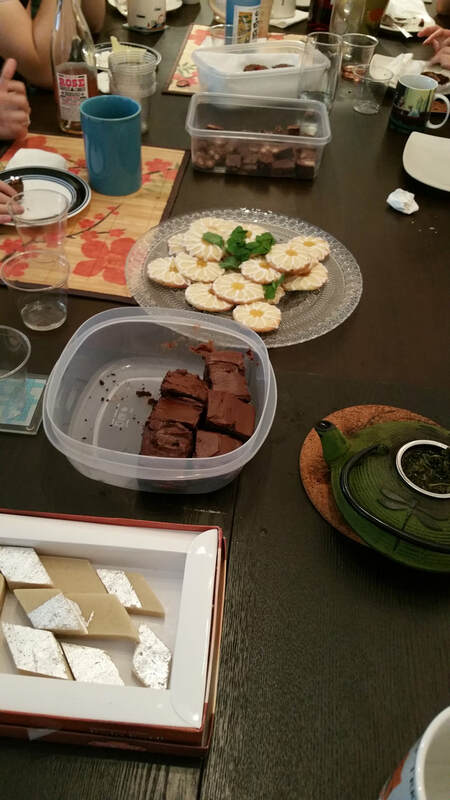 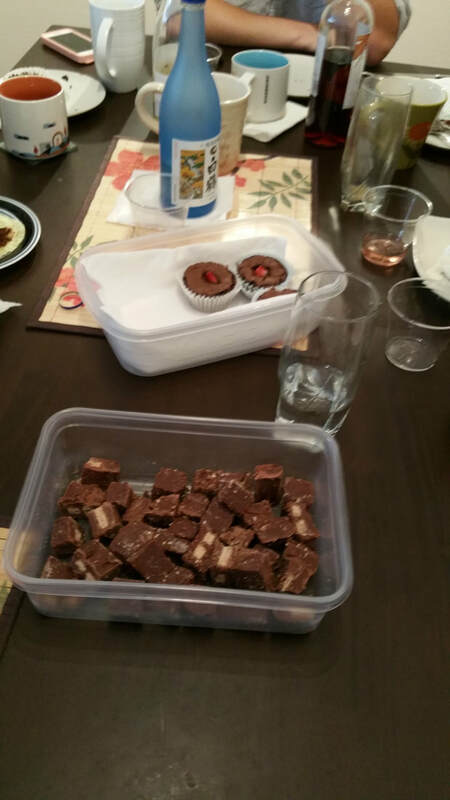 At Peppercorns Kitchen to celebrate the lab's R01. 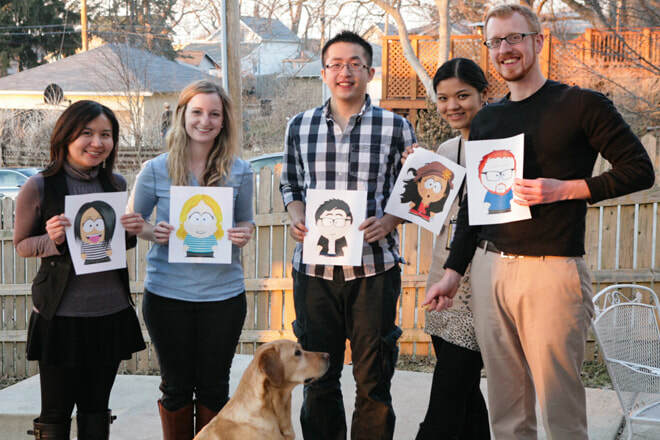 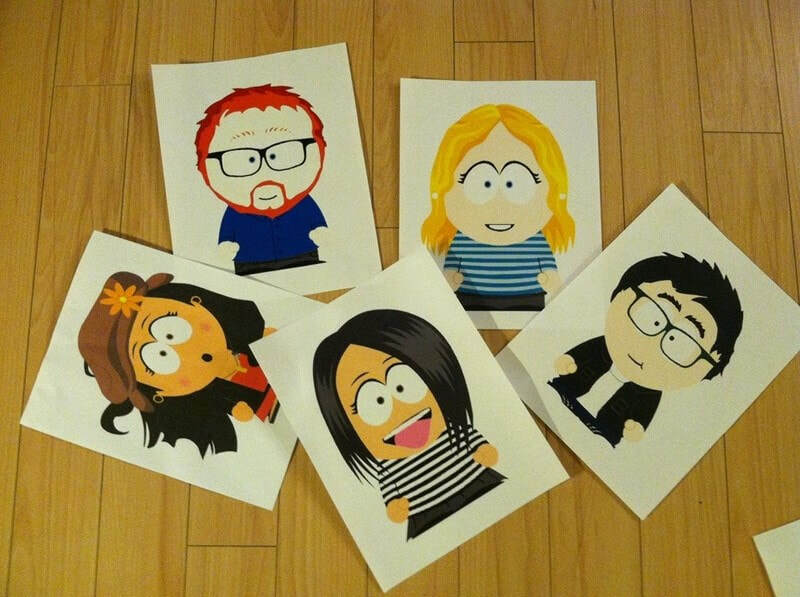 Left to right: Arbaaz Mukadam, Kendall Mores, Rob Cassel, Doungkamol Alongkronrusmee, Richard van Rijn, Mee Jung Ko, Ellen Jiwon Ha, Meridith Robins, Grace Mulia. 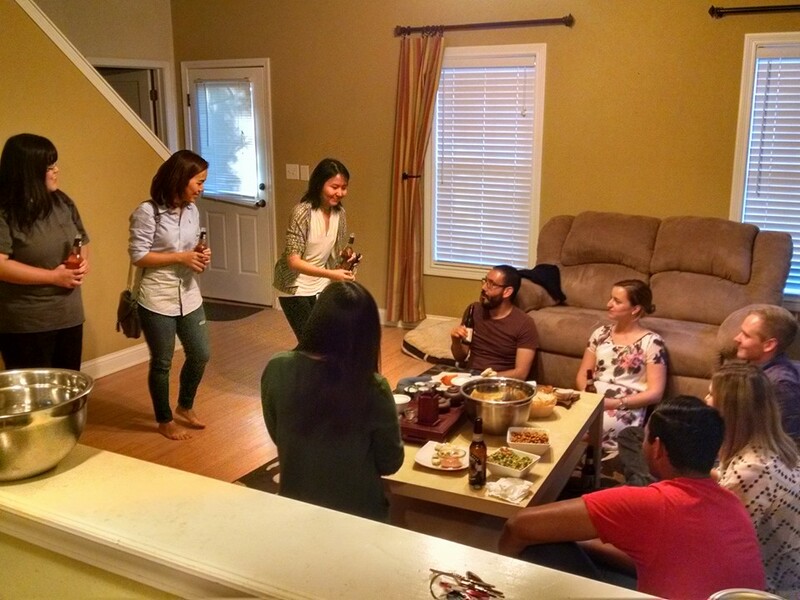 August 2017 - Dinner party at the Van Rijn residence in appreciation of all the hard work. 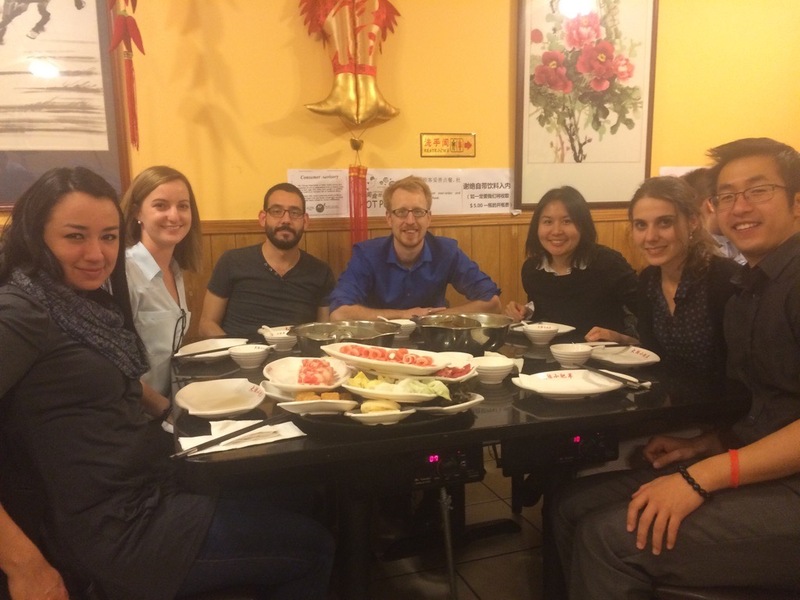 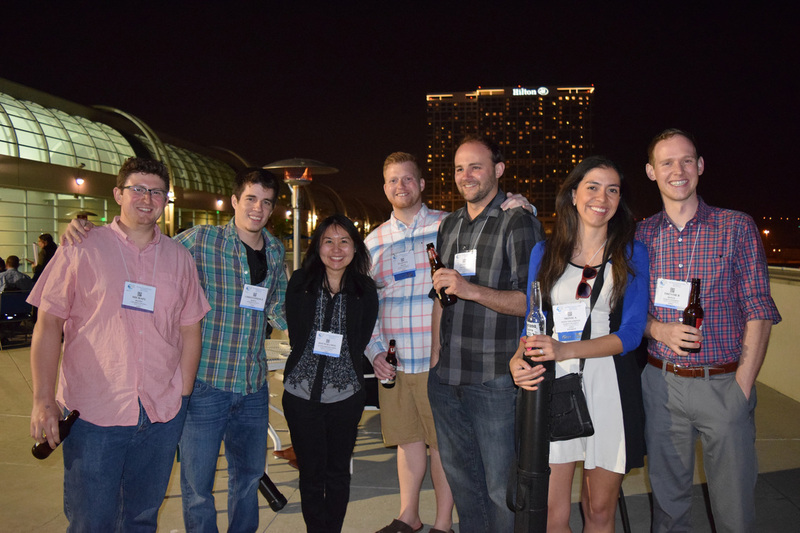 The Van Rijn lab at the International Narcotics Research Conference in Chicago, July 10-13th, 2017. 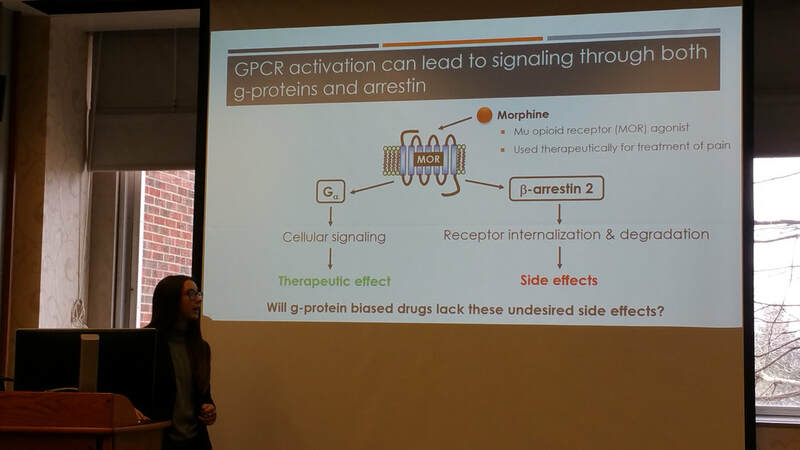 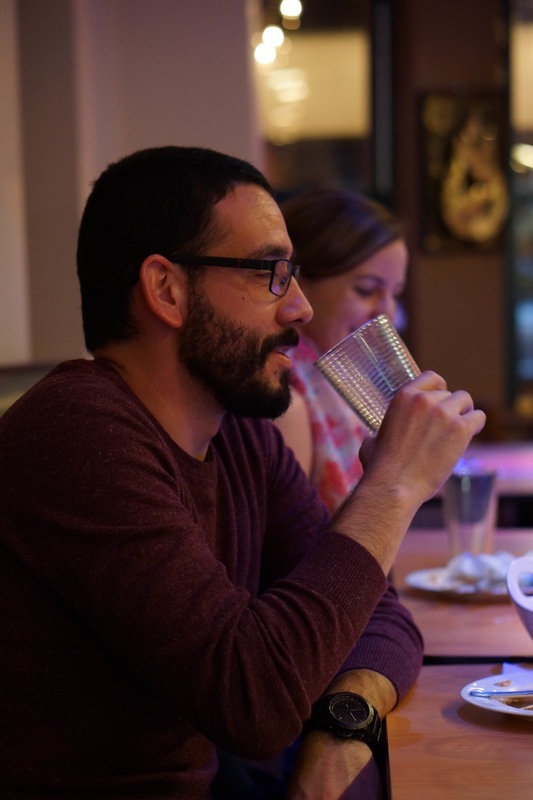 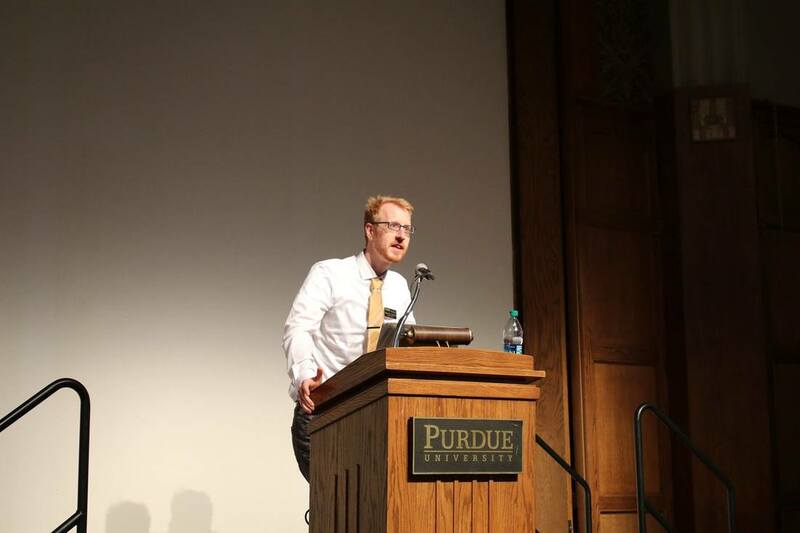 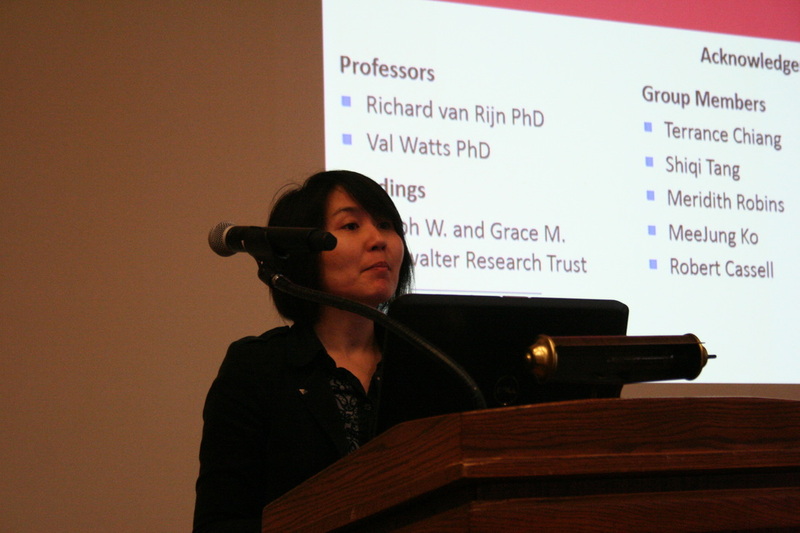 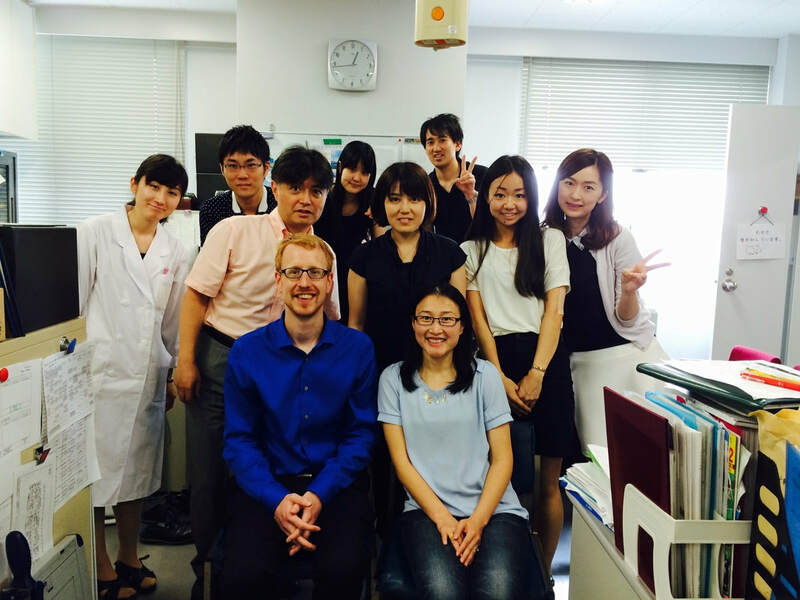 Mini-symposium on opioid receptors as therapeutic target for alcohol use disorders. 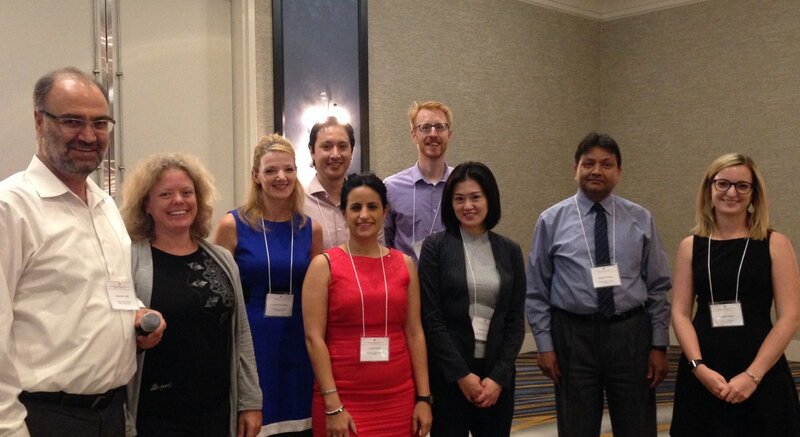 From left to right: Dr. Kabirullah Lutfy (Discussion leader). 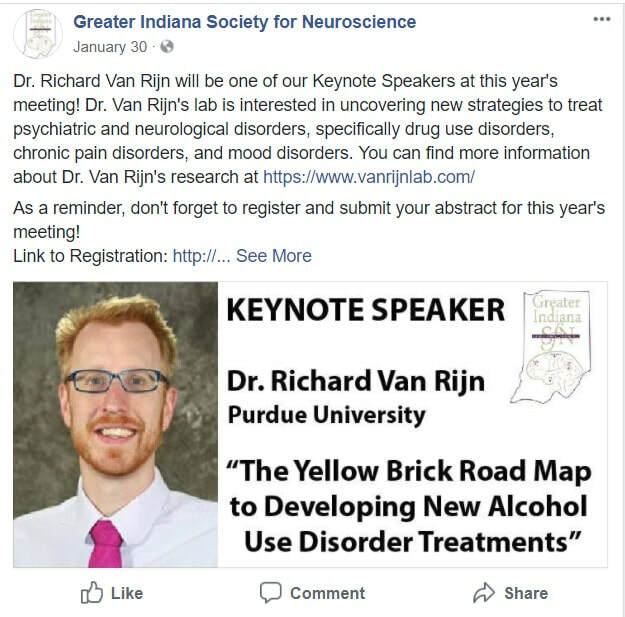 Dr. Annika Thorsell (humanized mu opioid mouse model), Dr. Linda Rorick-Kehn (novel nociceptin antagonist), Dr. Braulio Munoz (striatal mu opioid receptors), Dr. Lucia Hipolito (inflammatory pain), Dr. Richard van Rijn (biased delta opioid agonists), Dr. Moriya Yuki (mu opioid knockout), Dr. Subhash Pandey (kappa opioid and neuropeptide Y receptors) , Meridith Robins (session chair). 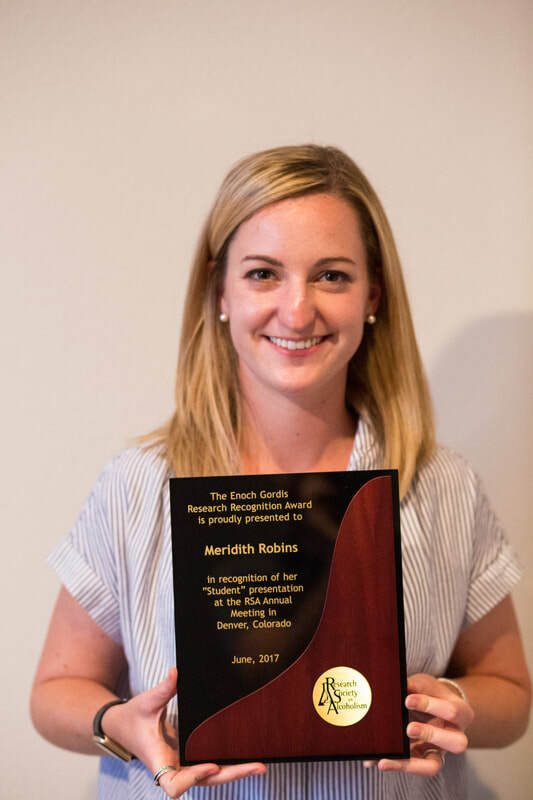 Meridith Robins with her plaque presented by the Research Society on Alcoholism for her Enoch Gordis Research Recognition Award she received at the 2017 Annual RSA conference. 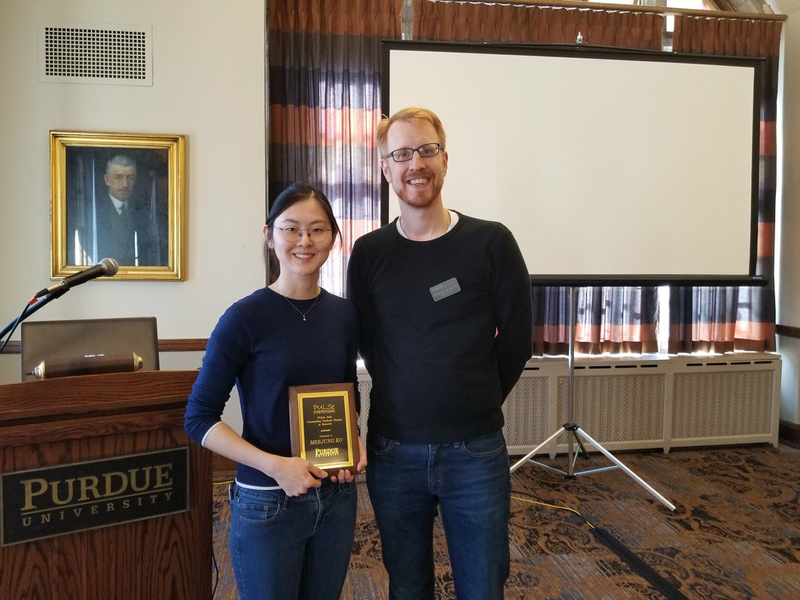 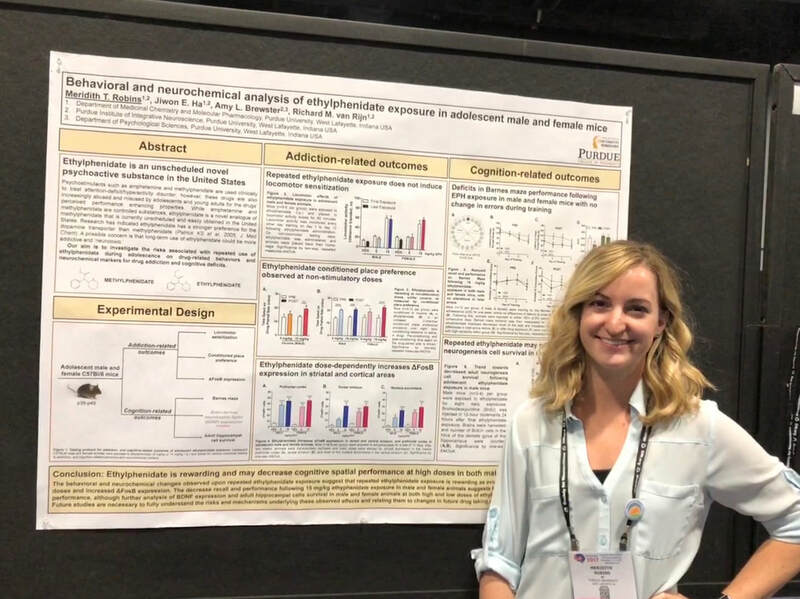 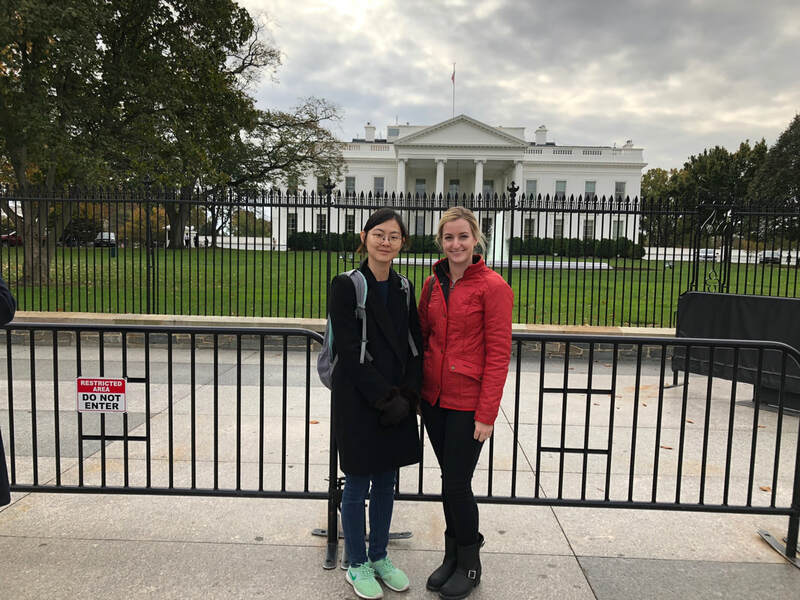 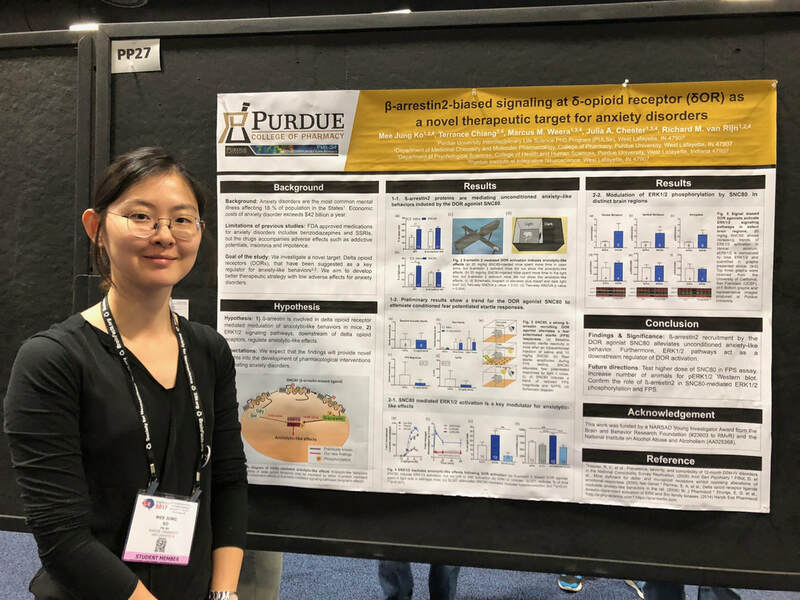 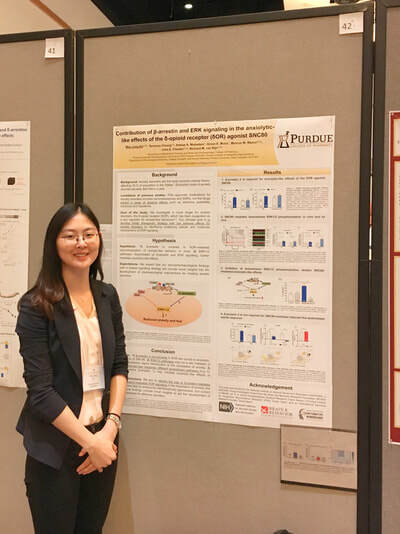 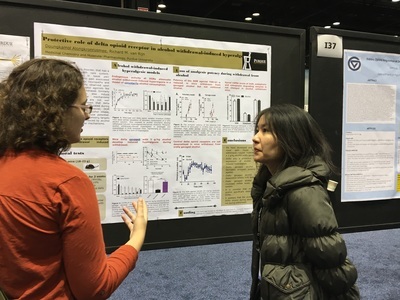 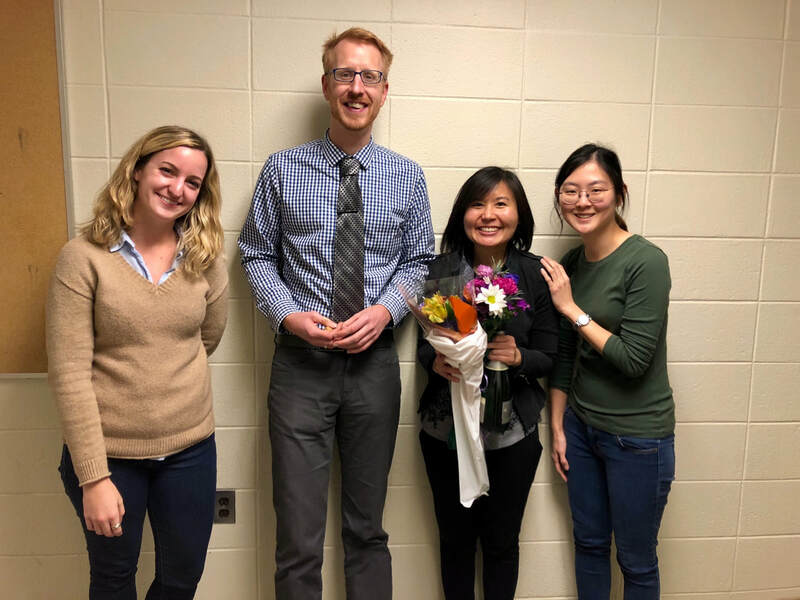 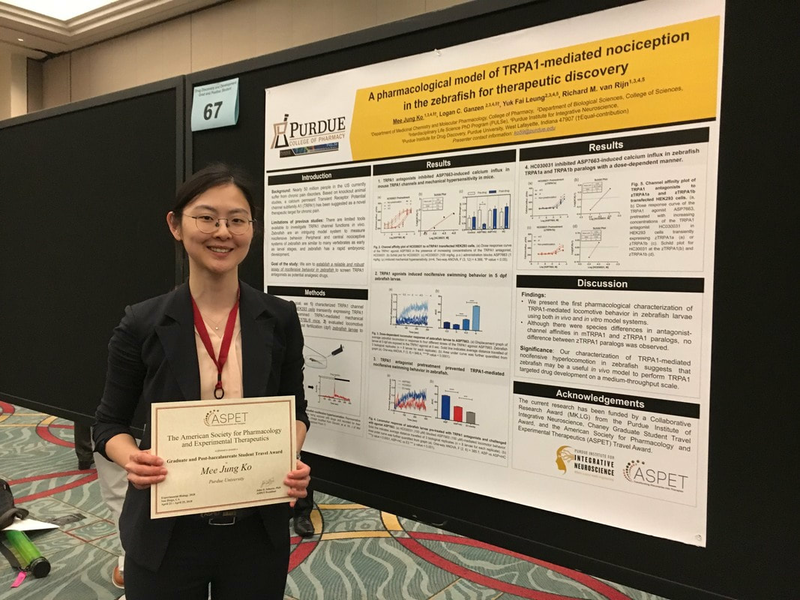 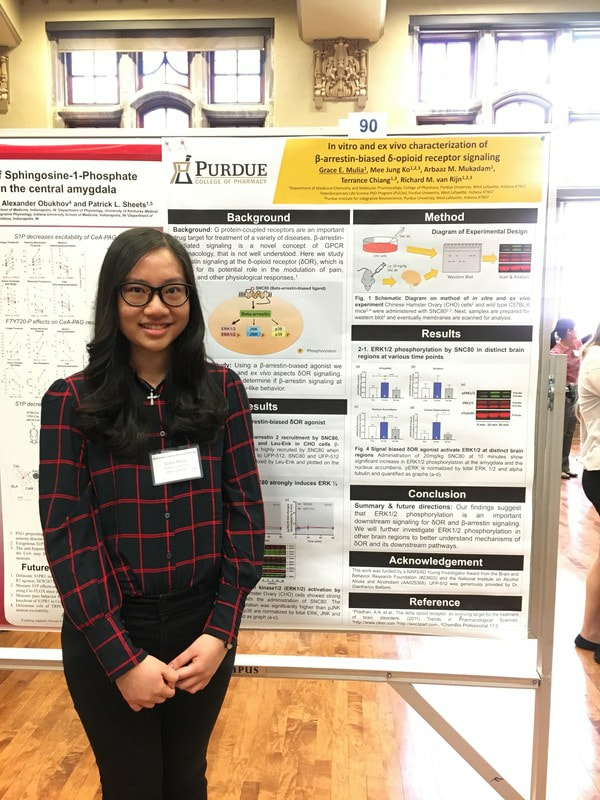 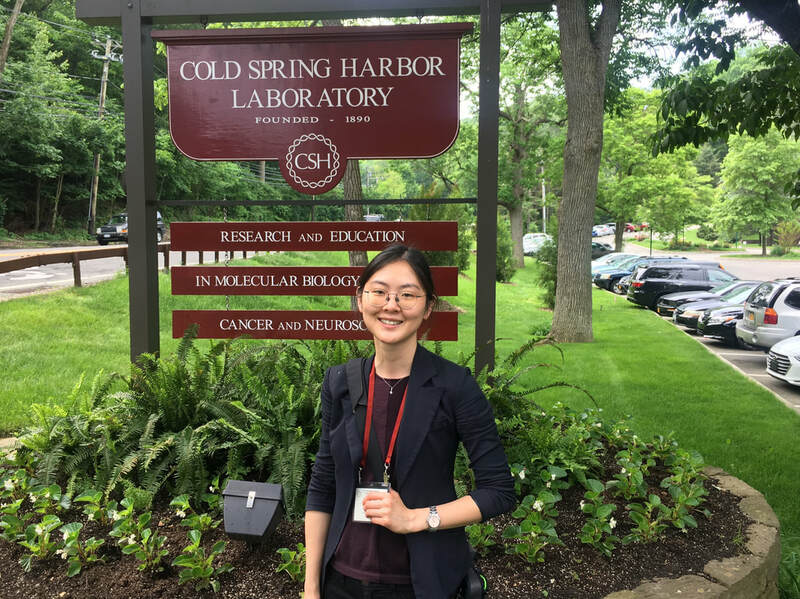 Dr. Zhong-Yin, Chair of the MCMP Department, presents Meridith Robins with a Paget travel award to attend the Society for Neuroscience conference in Washington DC to present her work on ethylphenidate. 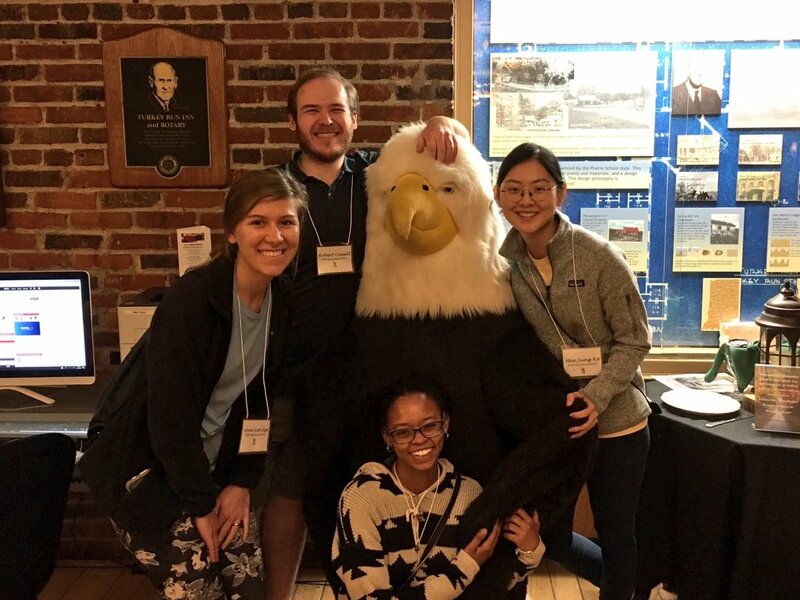 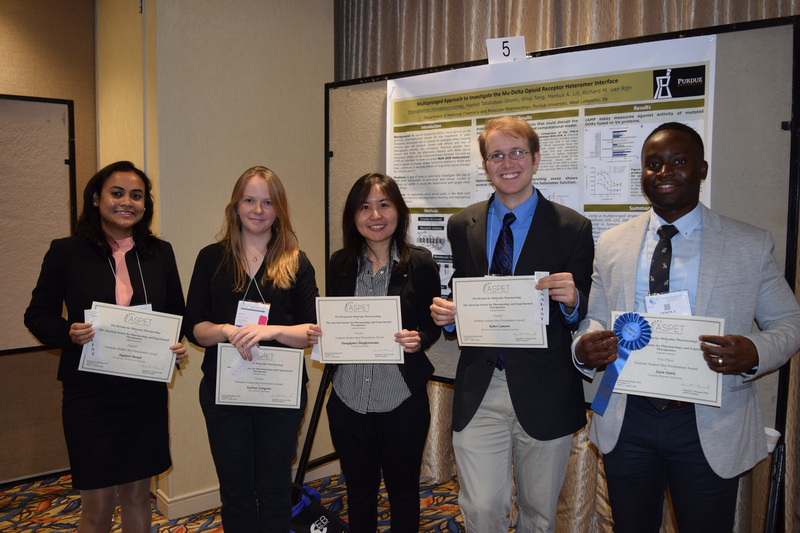 Doungkamol Alongkronrusmee presenting her research at the College of Pharmacy Jenkins/Knevel symposium and receiving the Excellence in Research Award. 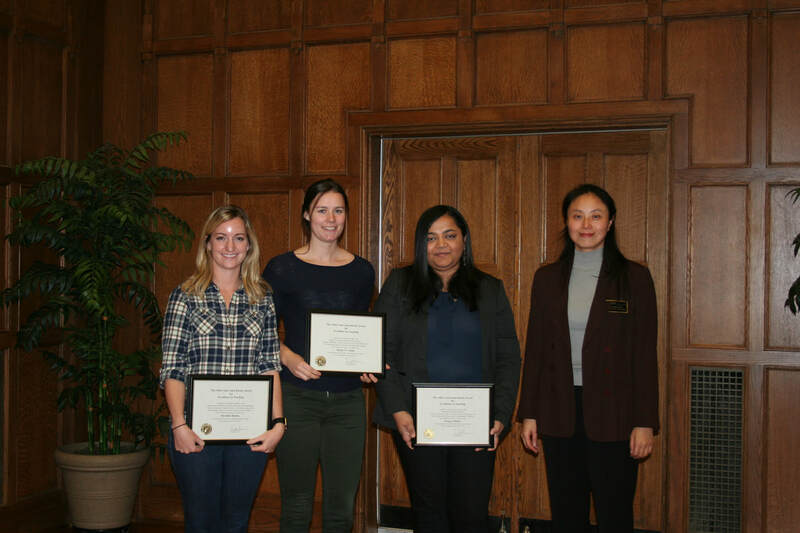 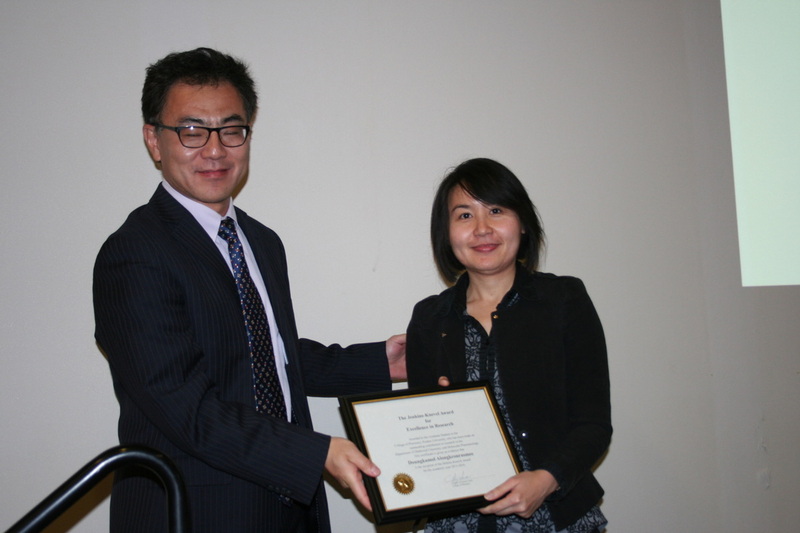 Shiqi Tang receives a Research Recognition Award at the graduation banquet of the 2016 Class of Bachelors of Pharmaceutical Sciences (BSPS). 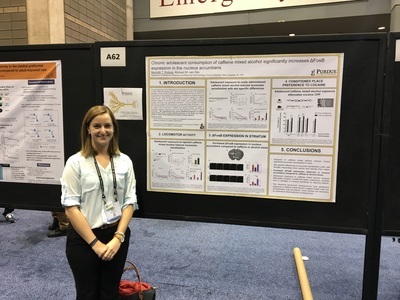 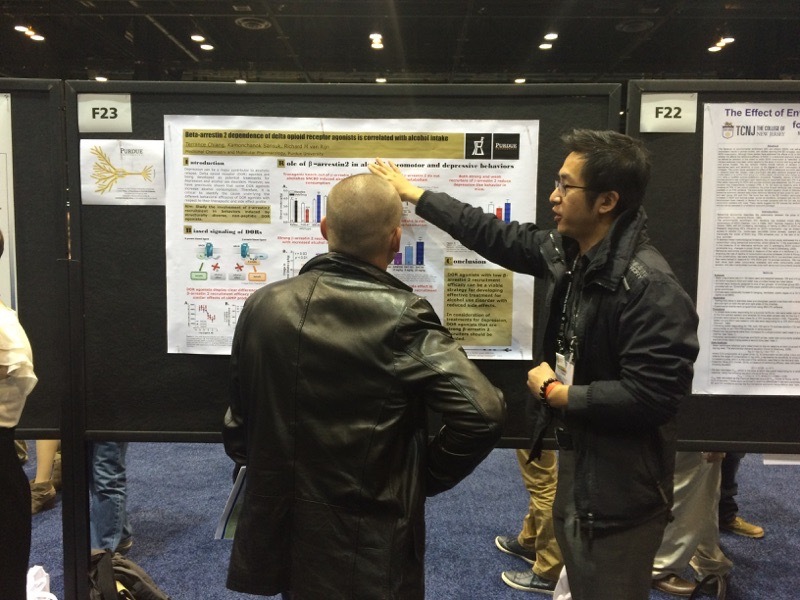 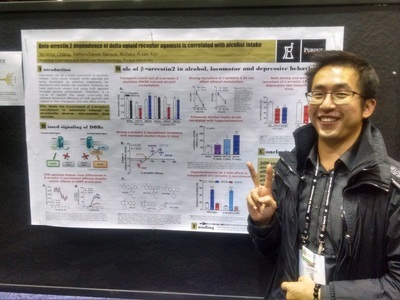 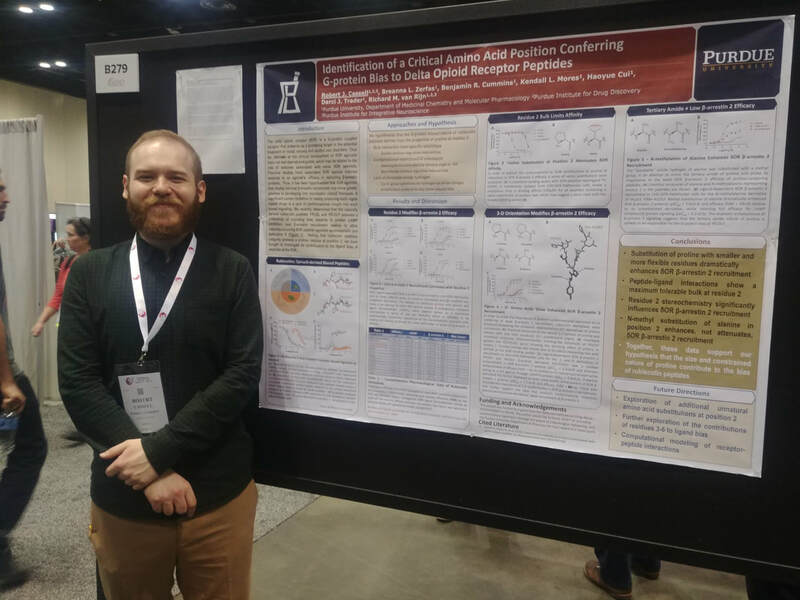 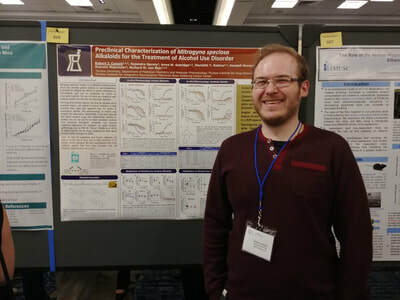 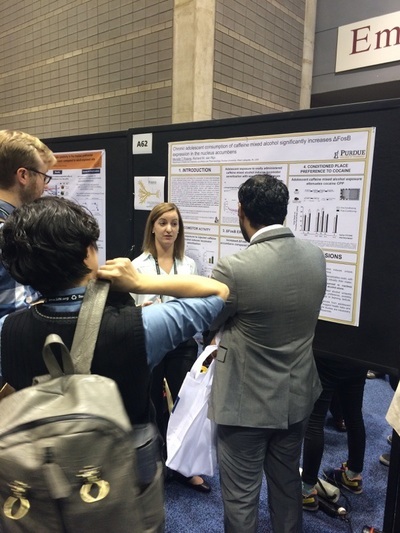 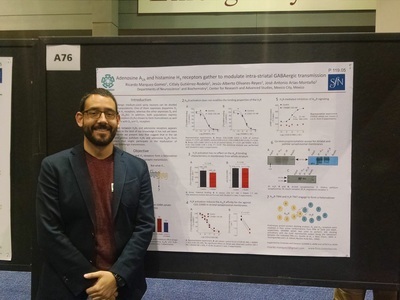 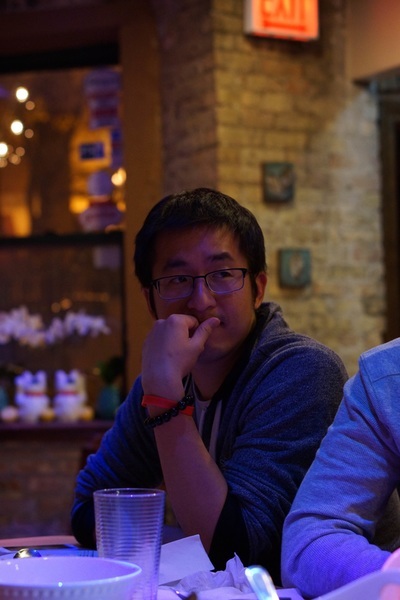 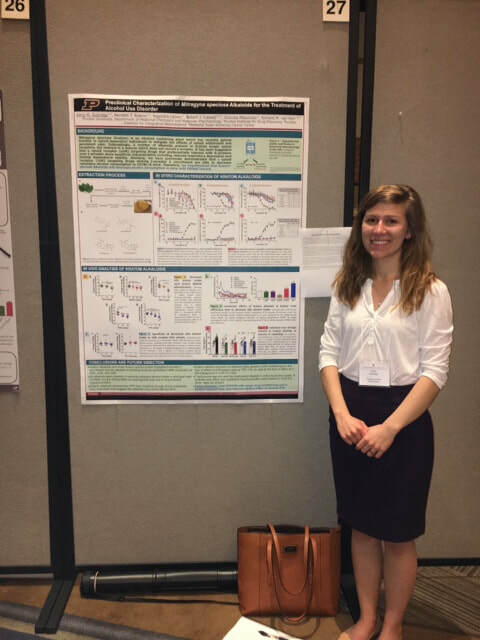 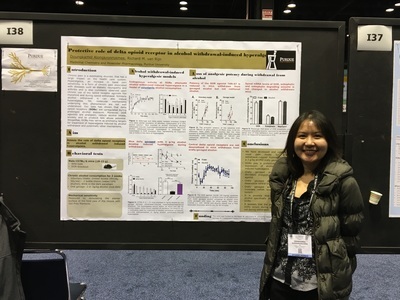 April 2-6th 2016: Doungkamol Alongkronrusmee at Experimental Biology 2016 in San Diego as a finalist for the Best Poster Presentation. 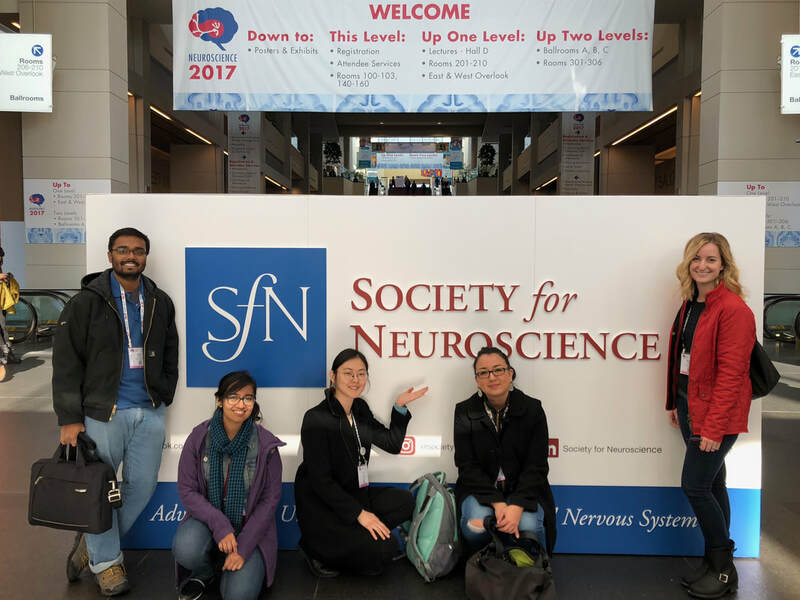 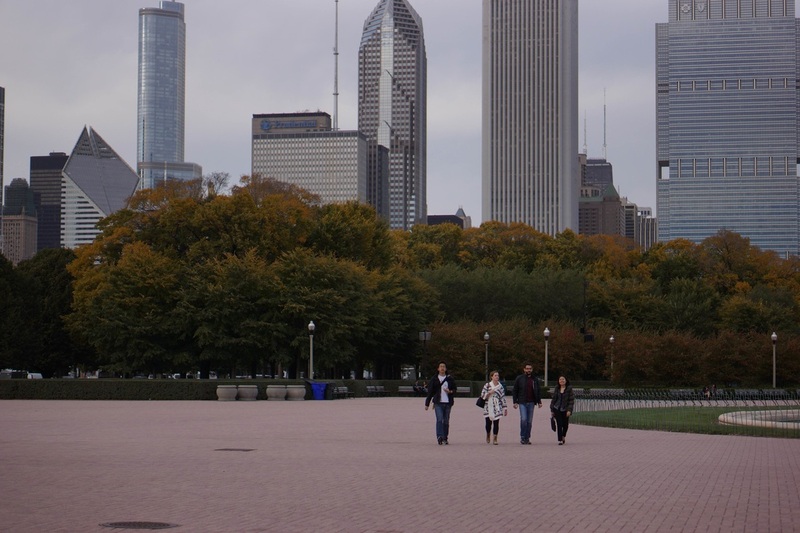 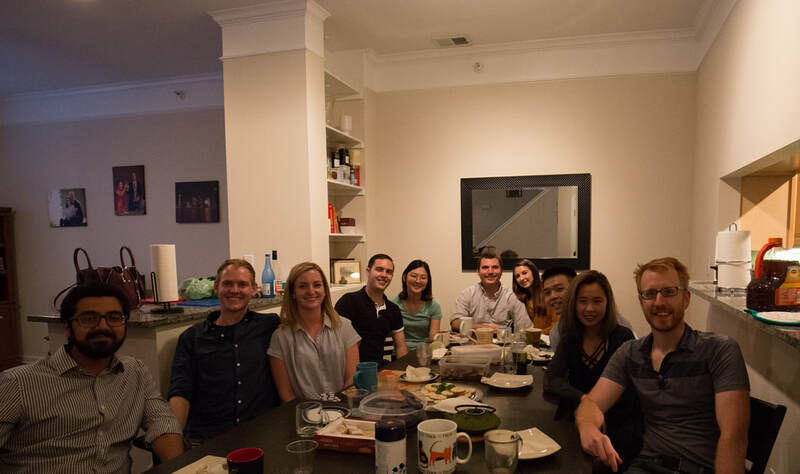 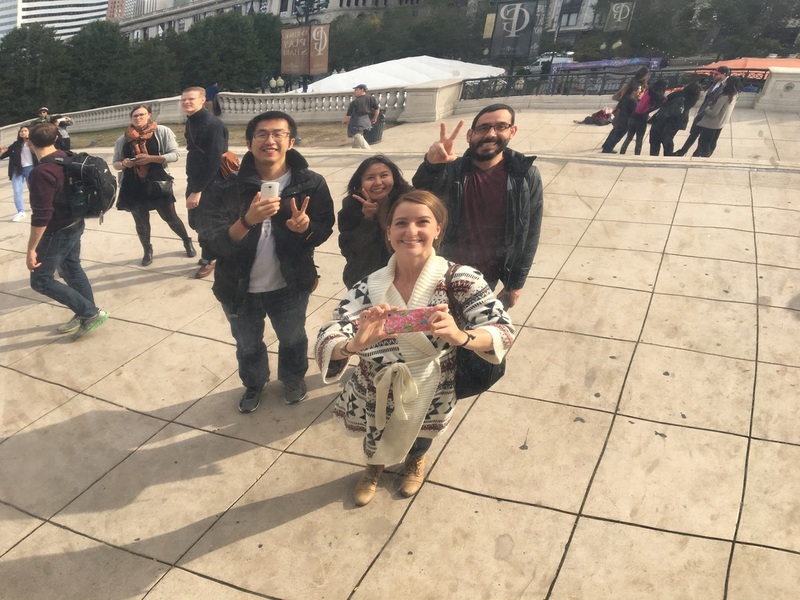 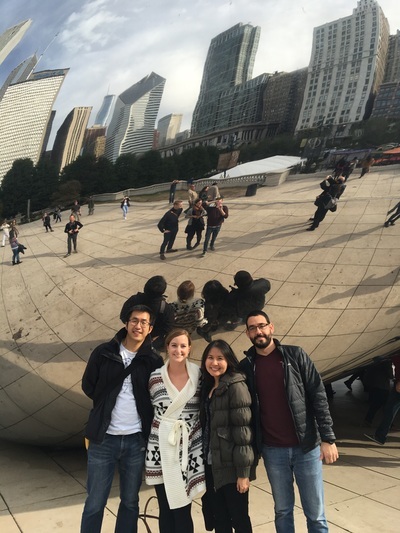 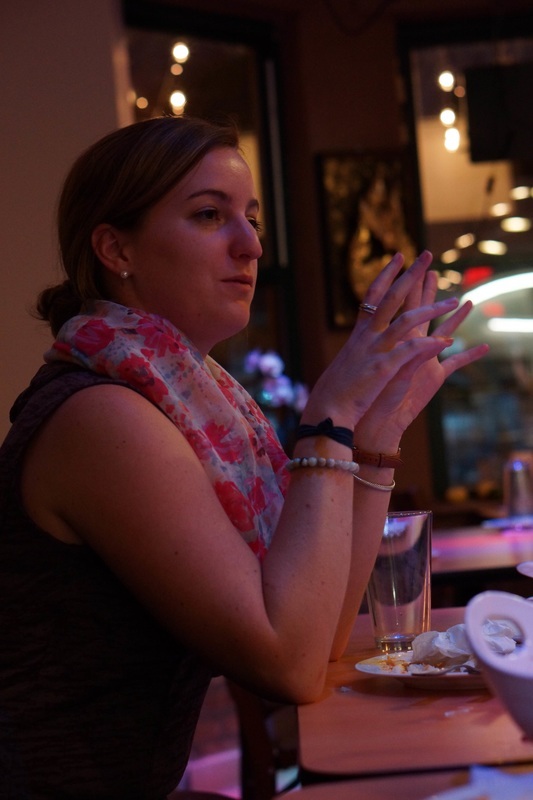 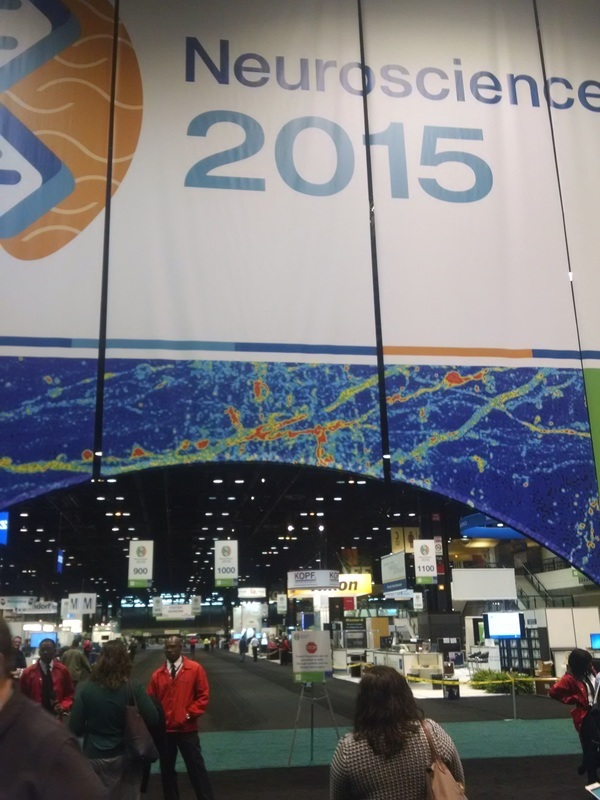 October 17-22nd 2015:Society for Neuroscience 2015 + Hotpot at Mandarin Kitchen, The bean and Thai food at Khaoson and Taylor.